"The multi-state push to let car dealers get away with selling you a defective car"
"Carlos Solis never knew he was driving with a "shrapnel bomb" inside his steering wheel. Car dealers push for passage of "license to kill" legislation, so they can get away with selling hazardous cars with killer safety defects. Read more: Center for Public Integrity, USA Today, and Arizona Republic: "The multi-state push to let car dealers get away with selling you a defective car"
"When buying a car may result in a scary (and pointless) adverse action notice"
"An adverse action notice — it's something consumers want to avoid at all costs, typically indicating you've been turned down for a loan or there's something seriously wrong with your credit file. 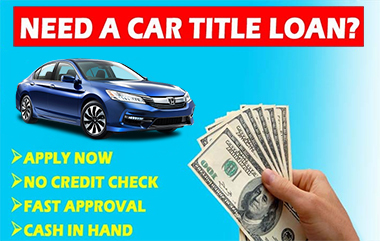 Dealers often shop around for credit -- not to find the best rate for you, but to find a lender who will give them the biggest kickback, at your expense. Such notices are required by federal law when credit is denied. But in some cases, including car purchases, they may not mean what they say, and in fact may be frightening people unnecessarily. I got one of these notices the other day and, not to brag, I've got sky-high credit scores, as might be expected for someone who gives consumer tips for a living. Yet here was a letter from a local dealer related to my recent purchase of a used car that was in considerably better shape than the 10-year-old car I traded in. "This letter is being sent to you because you were either denied credit or offered credit at lower terms than what you applied for based on your recent credit inquiry for a vehicle," it says. The letter cited vague explanations from the credit agencies that included "too few accounts currently paid as agreed" and "too many loans with recent delinquencies." Again, I'm not showing off (much), but each of the three big credit agencies — Equifax, Experian and TransUnion — gave me a score of over 800 at the time of the car purchase. I've never missed a loan payment in my life. So it was more than a little surprising that I was apparently being told I'm too risky to do business with. "It's very strange," said Rosemary Shahan, president of Consumers for Auto Reliability and Safety, a Sacramento-based advocacy group. "For anyone with good credit, this would be a real insult." Read more: Los Angeles Times: "When buying a car may result in a scary (and pointless) adverse action notice"
"Car dealers fight to hold monopoly on new cars"
"In some states, consumers seeking a new car have no choice but to go through a dealership. Dealers hope to keep it that way"
Polling shows that most consumers dread being forced to shop for a new car at a dealership. Those entrenched laws have received little attention until recently. As the cost of buying a new car continues climbing -- reaching an average of $34,000 in 2019, according to Experian -- manufacturers are considering alternative ways to get consumers interested in new cars. And they're finding that the car dealership industry isn't going away without a fight. 'I can't see existing auto manufacturers getting rid of dealers,' auto industry analyst Bob Reisner told the tech publication Digital Trends recently. CARS has been outspoken about the dangers of self-driving car testing, Autopilot, and other experimental car technologies that Silicon Valley is embracing. But when it comes to the dealership law, Shahan says that Tesla is being unfairly targeted by dealerships that simply don't like competition. Read more: ConsumerAffairs: "Car dealers fight to hold monopoly on new cars"
"Buying a used car? Here's some advice from experts"
If you're careful, you can get a much better deal on a used car from another consumer, without the risks of buying from a dealer who profits from ripping you off. "A scathing state report released this past fall has shone a light on the used car industry, prompting lawmakers to reconsider industry enforcement and to push for ways to strengthen laws to protect consumers from predatory dealers. Consumers can protect themselves from predatory sellers by educating themselves on their rights, said Rosemary Shahan, president of the California-based nonprofit Consumers for Auto Reliability and Safety. That's why her nonprofit put together 12 tips for buying a used car, she said." "Driver hurt by airbag shrapnel as investigation drags on"
"The inflator in a 2011 Malibu exploded in a Sept. 22, 2017 crash, injuring the driver." "DETROIT -- Nearly four years ago, the U.S. government's highway safety agency began investigating air bag inflators made by ARC Automotive of Tennessee when two people were hit by flying shrapnel after crashes. The National Highway Traffic Safety Administration estimated that 8 million Fiat Chrysler, Hyundai, Kia and General Motors vehicles in the U.S. use the company's inflators. The investigation became more urgent in 2016 after a Canadian woman driving a Hyundai was killed by shrapnel from an ARC inflator. 'That's really unacceptable. NHTSA should have gotten on top of it sooner,' said Rosemary Shahan, president of California-based Consumers for Auto Reliability and Safety. 'It's just really painfully obvious that it's a (safety) defect.'" Read more: Daily Herald: "Driver hurt by airbag shrapnel as investigation drags on"
"Don't Let a Car Dealer's 'Yo-Yo' Financing Scam Reel You In"
The best way to avoid the car dealers' "yo-yo" financing scam is to NEVER get your financing from the dealer. Always get your own financing from a trusted bank or credit union, before you agree to buy a car. Yo-yo financing 'is a significant problem with dealerships that cater to lower-income borrowers, and oftentimes for people of color,' says Rebecca Borné, senior policy counsel for the Center for Responsible Lending. 'Once you fill out that credit application, they know so much about you' and can then target victims, says Shahan. So it's important for all shoppers — especially those with poor credit — to be alert to early signs of a possible yo-yo financing scheme. If the dealer persists, or threatens you, Shahan says it's time to consult an attorney. Visit the National Association of Consumer Advocates site, which lists attorneys who specialize in auto fraud cases. When handled correctly by an attorney, the situation can be resolved without any harm to your credit, Shahan says." Read more: Nerdwallet: "Don't Let a Car Dealer's 'Yo-Yo' Financing Scam Reel You In"
"For Car Buyers Who Got a Lemon, State Laws Vary Widely"
Got a lemon? Your ability to get a refund depends a lot on how strong your state's lemon law is. "Motorists who live in New Jersey and have a major problem with a new vehicle have a handy tool: the best lemon law in the land. But about a third of the states have such weak lemon laws that consumers will have a tough time getting a fair deal, according to a study released this month by the Center for Auto Safety. All 50 states and the District of Columbia have 'something that is arguably a lemon law,' but too many fail consumers, said Jason Levine, the executive director of the center, a nonprofit consumer advocacy organization founded by Ralph Nader. 'The F.T.C. failed to act, and still fails to act, to protect the public from lemons with serious defects,' Ms. Shahan said." "Consumers, Beware: Used car dealers are selling vehicles despite open recalls"
"In October 2016, Corey Jackson was at a used car lot in South Chicago Heights, signing the papers to buy a 2008 Buick LaCrosse. He was excited about the leather interior, sunroof and heated seats — but he didn't know that the used car was the subject of a safety recall because of problems with an ignition switch defect already implicated in 124 deaths nationwide. Some car dealers, including automotive behemoths CarMax and AutoNation, are violating state laws and selling dangerous recalled used cars without repairing safety recall defects, putting lives at risk. The used car salesperson didn't mention the recall, Jackson says. The ignition switch had failed, Jackson's attorneys say, suddenly shutting off the engine and cutting power to the steering wheel, brakes and airbags. In some cases, people have been killed or injured in cars they didn't know were under recall. 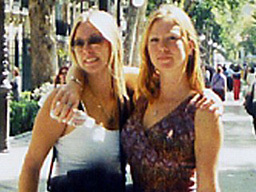 The 2004 crash deaths of two California sisters, Jacqueline and Raechel Houck, ages 20 and 24, in a rented Chrysler PT Cruiser that was under recall led to a 2016 federal law requiring rental car companies to take recalled vehicles out of service until they are repaired. Corey Jackson, who couldn't work after his accident yet still owed payments on the totaled Buick, says he wishes his recalled car had never been put out for sale. 'It cost me my lifestyle, my job — damn near my life,' Jackson says. 'Just value the person and not just the sale.' "
Read More: Chicago Sun-Times: "Consumers, Beware: Used car dealers are selling vehicles despite open recalls"
about seat dangers before Kyle Plush's death"
"Weeks before Kyle Plush died in his parked Honda Odyssey, federal safety regulators received a dire warning from an alarmed parent about a possible safety defect in the same minivan model. 'There should be a formal defect investigation,' Kane said. '(NHTSA's) job as an agency is not to wait for bodies to stack up.' "
Read more: Cincinnati Enquirer: " 'A child could die.' Honda Odyssey owners warned feds about seat dangers before Kyle Plush's death"
"Report says 16.7 million faulty Takata airbags still on U.S. roads"
"DETROIT — More than three years after the government took over management of recalls involving dangerous Takata air bag inflators, one third of the recalled inflators still have not been replaced. 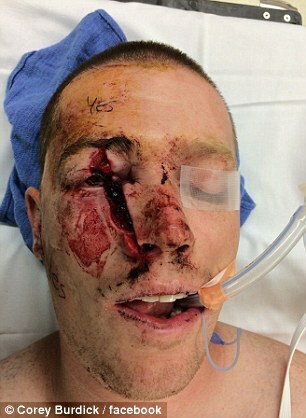 In a collision of only about 24 km/h, Floridian Corey Burdick lost an eye due to a faulty Takata airbag that exploded, propelling metal fragments into his face. Three years ago, NHTSA started to get consent orders from Takata and automakers to speed up repairs and hold them accountable, 'except NHTSA refuses to actually enforce the orders, thus stuffing another gift in the stockings of the auto industry,' Levine said. Levine and Rosemary Shahan, president of Consumers for Auto Reliability and Safety, said the agency tried to hide the report by releasing it late on a Friday before Christmas. 'It's embarrassing,' Shahan said. 'They have to put out the report, so this is when they do it to bury it,' Shahan said." "It's time cellphone signal jammers were installed in people's steering wheels"
"A couple of years ago, a Florida man was fined $48,000 by the Federal Communications Commission for employing an illegal signal jammer during his commutes to prevent nearby drivers from using their cellphones. I can relate. I bet you can too. Admittedly, the matter is complicated. 'If it's an option for parents to get their kids off on the right footing and develop safe driving habits, that could be a real safety benefit,"'said Rosemary Shahan, president of Consumers for Auto Reliability and Safety, a Sacramento-based advocacy group. 'But if it's envisioned as a way to modify the behavior of all drivers, it seems unlikely that those who are the worst offenders in terms of using their phones would be inclined to purchase that option,' she told me. These are big questions. But we're facing a big problem. The National Highway Traffic Safety Administration says 37,133 people died last year in motor vehicle crashes, and more than 3,000 of those deaths involved distracted drivers. 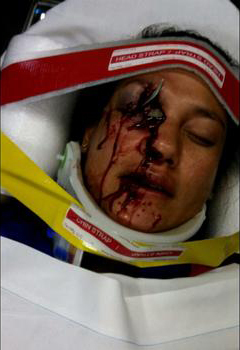 Thousands more people are injured annually by drivers who take their eyes off the road." 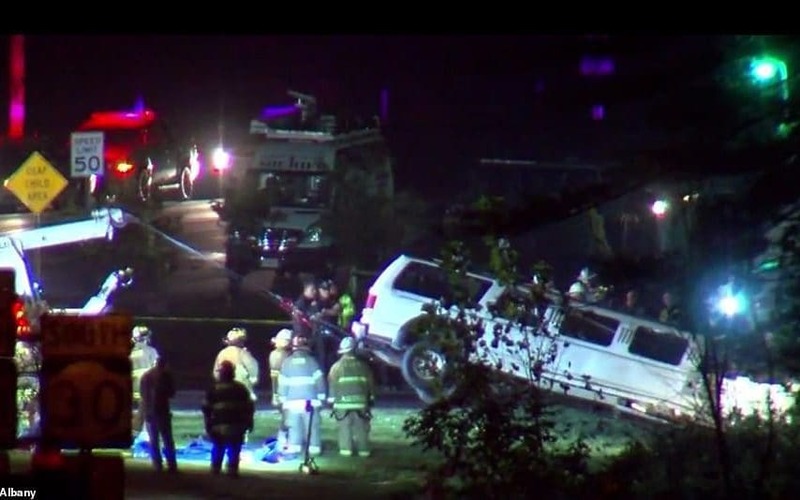 Read more: Los Angeles Times: "It's time cellphone signal jammers were installed in people's steering wheels"
Brings Fresh Attention to Safety Regulation Loophole"
After the tragic and preventable deaths of 20 people, there's now more scrutiny of limousine safety. AILSA CHANG, HOST: The deadly limousine crash in New York that killed 20 people last weekend is raising questions about safety regulations. Limo makers do not have to prove that their vehicles meet the same safety standards as other cars on the road, and they never have. NPR's Camila Domonoske reports. CAMILA DOMONOSKE: Rosemary Shahan is the president of Consumers for Auto Reliability and Safety. She says the onus shouldn't be on customers to figure out if a limo is safe. ROSEMARY SHAHAN: I think it's just really grossly unfair. People - of course they always care about safety. I just think most people assume that if they're in the business, that there are minimum requirements that they have to meet." Read more: National Public Radio:"Deadly Limousine Crash in New York Brings Fresh Attention to Safety Regulation Loophole"
"Rental Car Startups Promise to Keep Unsafe Inventory Off the Road"
"Pretending to own a Porsche for the day has never been easier thanks to several startups now hoping to "disrupt" the traditional rental car industry with sharing applications modeled after Uber. 'To their credit, Turo and GetAround not only supported the bill, but are the official sponsors, and are setting the standard for the entire [Personal Vehicle Sharing Program] industry,' Rosemary Shahan of Consumers for Auto Reliability and Safety (CARS) said in a statement." 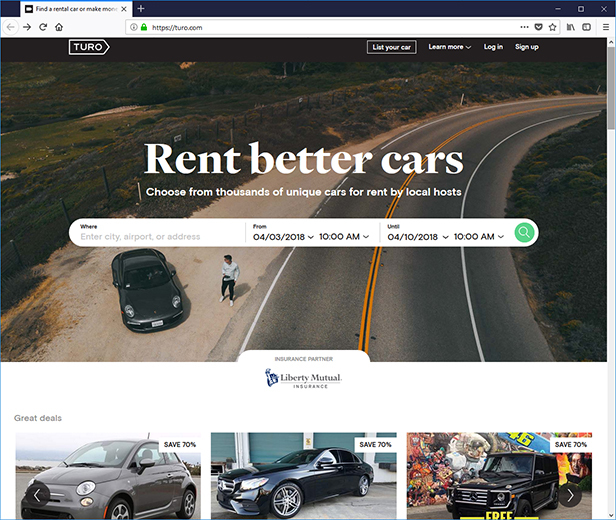 Read more: Consumer Affairs: "Rental Car Startups Promise to Keep Unsafe Inventory Off the Road"
"CarMax puts onus on customers to get defects repaired after purchase"
"Four years ago, Angela Davidson bought a used 2010 Dodge Ram from a CarMax in Irvine. Days later, Davidson learned the vehicle had been recalled more than a year prior due to a defect predisposing it to fire. After a quick fix at a local Chrysler dealership, Davidson and her family made their way to Las Vegas. Angela Davidson's 12-year-old daughter was riding in the back of the Dodge Ram CarMax sold her and her husband, when it caught on fire. Her husband pulled their daughter from the truck just seconds before it exploded into flames. 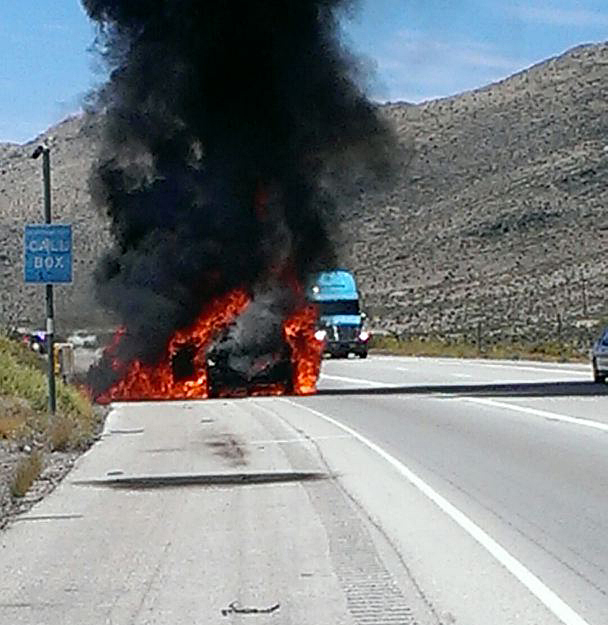 Halfway through the trip, the car burst into flames. The family escaped, but the fire burned several acres of the Mojave Desert. In spite of Chrysler's faulty repair, Davidson places the bulk of the blame on CarMax for selling her what was supposed to be a "great quality car," according to the company's mission statement. Jason Levine, executive director of the Center for Auto Safety, [argues that] state regulators do have avenues available to them if they want to restrict the sale of defective used automobiles. Even if there are laws on the consumer's side, Rosemary Shahan, president of Consumers for Auto Reliability and Safety, says the used car business is just not an enforcement priority for officials at the moment. Shahan said CarMax's corporate influence and the reluctance from the California DMV, attorney general's office and district attorneys up and down the state have allowed the company to continue selling recalled cars..."
Read more: Sacramento News & Review: "Fire Risk on Wheels"
"New Jersey Car Recall Bill May Provide Less Protection in Legal Disputes"
"A bill that purports to protect consumers from car dealerships that sell recalled vehicles could actually provide consumers with far less protection in legal disputes, a Kane In Your Corner investigation finds. The bill, sponsored by Sen. James Beach (D- Cherry Hill) includes a section totally unrelated to recalls, which would reduce buyers' rights under the New Jersey Consumer Fraud Act. State election records also show the bill was introduced after three years of large contributions from car dealerships to the Senate Majority PAC, including $500,000 from one car dealer alone. Alexis Rodrigues is the kind of car buyer the bill would appear to help. She thought she was getting a good deal on her 2009 Ford Edge, until she got a recall notice saying the car had defective airbags, and replacements would not be ready until September. 'I'm spending money on a vehicle that we can't use,' she says. Had the bill been in place, Rodriques would have had to have been informed that the car she was purchasing had an open recall. But there's something else in the bill that sponsors aren't so eager to talk about. Alexis Rodrigues is skeptical the bill would even benefit people in her situation, saying lawmakers should simply ban the sale of cars with open recalls instead. 'Even if this passes, it's still going to happen,' she says. 'They'll just slip it by you and you'll sign it. And it's just going to keep happening.' "
Watch full report: KIYC-TV: "New Jersey Car Recall Bill May Provide Less Protection in Legal Disputes"
Note: It is already illegal under various state laws in all states including in New Jersey -- with the sole exceptions of Pennsylvania and Tennessee -- for car dealers to sell unsafe recalled cars, whether they are new or used. to sell lemons, safety groups say"
is defective can be used against consumers, groups charge"
"A new state law signed by Pennsylvania Gov. Tom Wolf on Thursday gives car dealers more incentive to sell unrepaired, defective cars to unwitting customers, consumer groups charge. Stephanie Erdman was blinded in one eye by an exploding Takata airbag in a recalled Honda. Other victims have bled to death. Pennsylvania's new law makes it easier for car dealers to get away with selling recalled used cars with this life-threatening safety defect. House Bill 1898 enjoyed broad support among state lawmakers and car dealers, who claim that the measure will protect consumers because it requires dealers to inform buyers about open recalls on their cars. The law mandates that dealers provide 'formal disclosure' to vehicle purchasers about open recalls. Such a disclosure 'alerts [buyers] to the existence of a condition that the vehicle manufacturer, through their dealer network, will correct free of charge,' according to testimony given last year by Pennsylvania Automotive Association Executive Vice President Mark Stine, who supported the bill. But that 'formal disclosure' could very well be buried in the fine print of a purchase, according to car safety groups. Advocates suspect that vehicle dealers are only throwing their support behind the 'disclosure' law because it could be used as a defense should they face a lawsuit relating to a defective vehicle they sold. And for many recalled cars, such as cars with defective airbags, there is such a long backlog for repairs that consumers are left with no choice but to wait. ...in a measure that is strikingly similar to the bill in Pennsylvania, Honda in 2014 reportedly began pushing dealers to have buyers sign paperwork stating they were aware that their used car had a defective airbag that had not been repaired. 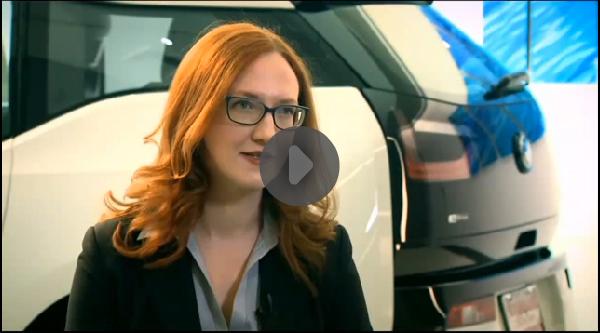 'I believe it takes away the liability,' a Honda dealer told Automotive News at the time." Read more: Consumer Affairs: "Pennsylvania passes law that will make it easier for car dealers to sell lemons, safety groups say"
"Pink-slip Car Loans: Quick Cash, High Price Tag"
"Carlos Smith needed rent money while he was between construction jobs, so he tapped his biggest asset — a paid-off 2008 GMC Sierra Denali pickup truck. He pledged it to a storefront lender as collateral for a $4,000 "auto-title loan" with a 70 percent interest rate. That 2013 transaction led to a three-year ordeal during which Smith's debt mounted even as he made payments. When he'd fall behind, the lender would send out a tow-truck driver to repossess his pickup. He'd catch up on payments plus fines and storage fees, then fall behind again, and soon find the repo man at his door or his phone ringing with the debt collector. He started to feel stalked. Twenty-five states and the District of Columbia have outlawed or capped interest rates for the short-term pink-slip loans, which consumer advocates say are as predatory as payday loans. But California has few restrictions on "cash for cars" lending, which has surged in the Golden State — as have the number of repossessions. ....About 17 percent of Californians with pink-slip loans have their cars seized, according to the state Department of Business Oversight, which collects data from the industry. Last year, the cars of 20,280 borrowers were repossessed, out of 118,431 outstanding title loans, the report said. More than half the seized vehicles (12,687) were sold at auction. 'These loans are like legalized car thievery,' said Rosemary Shahan, executive director of Consumers for Auto Reliability and Safety, a consumer advocacy group. 'They're extremely high risk for consumers' who can end up losing their cars, plunging deeper in debt, and dinging their credit with a repossession. In fact, she said, many consumers might be better off selling their cars and buying less expensive ones because they wouldn't rack up extra debt through interest and fees." Read full report: San Francisco Chronicle: "Pink-slip Car Loans: Quick Cash, High Price Tag"
To Customers Waiting For Fix To Deadly Airbags"
"When Robert Torres of La Habra, California, bought a used Mustang from a car dealer in 2014, he didn't expect it to come with a potentially deadly defect. In May 2016, Ford issued a safety recall for the Takata airbag on the driver's side, which had been linked to serious injuries and deaths. When Torres took in his car for repairs, the dealer made changes to the airbag but told him replacement parts were unavailable. In July 2016, Ford issued another recall, this time for the defective Takata airbag on the passenger side. In December 2017, Ford sent a notice to Torres warning him not to let anyone sit in the passenger seat until it was repaired. A Ford dealer promised Torres a loaner car, but despite repeated calls and letters from Torres and others to the dealer and to Ford Motor Company, it never materialized. 'Outrageous' is how Rosemary Shahan, the founder and president of Consumers for Auto Reliability and Safety (CARS), describes Ford's response to Torres and other consumers seeking loaner cars. 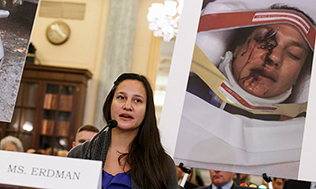 Discussing vehicle owners waiting for replacement airbag parts, Shahan said, 'Automakers should provide all of their customers with safe loaner cars and ensure that they are free from safety recall defects,' she says. 'They should also ensure that the car owners don't run into barriers in getting safe, no-cost alternative transportation.' "
Read more: Forbes: "Many Dealers Routinely Deny Loaner Cars to Customers Waiting for Fix to Deadly Airbags"
"Airbnb for cars is here. And the rental car giants are not happy"
Turo's website offers the promise of cars that are better than the big rental companies. Without access to vehicle titles and VIN numbers, Peacock [Turo's head of government relations] says, Turo doesn't have access to recall notices. And in Maryland, safety recalls don't prohibit vehicles from being legally driven, she said. But Rosemary Shahan, president of the Consumers for Auto Reliability, said Turo's leadership is ignoring the potential disaster that awaits if a single recalled car on the Turo platform results in a deadly crash. Shahan said the company should, at the very least, force users to check their VIN number before they can join the platform. Oftentimes, she said, car owners don't know their vehicle is subject to a recall and by the time they find out there's a "body count." 'All it takes is one high-profile crash and their name — that's what they'll be known for,' she said. 'I hope they can learn from the experience of other companies. Whatever they think they're saving, it isn't worth it.'" Read more: Washington Post: "Airbnb for cars is here. And the rental car giants are not happy"
"Federal Car Safety Officials to Be Grilled about Delays in Fix to Exploding Takata Airbags"
"If you buy a vehicle from a used car dealer, you may get a great deal -- or a timebomb. 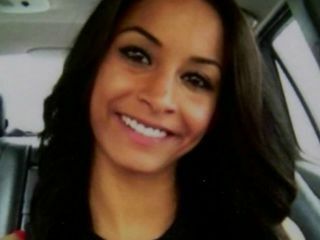 Jewel Brangman was talented, beautiful, and only 26 years old when she was killed by an unrepaired recalled Takata airbag. Dealers like CarMax sell cars with this lethal safety defect, putting their customers' lives in danger. That's because many dealers are selling cars subject to a safety recall without fixing them, even though they advertise the cars have passed a rigorous inspection. According to consumer groups, this means you may get a vehicle with a hidden safety defect that could cause the brakes to fail or the car to catch on fire on the highway. This problem will be highlighted Tuesday, when the U.S. Senate holds a hearing about defective recall cars that puts Trump administration car safety officials on the hot seat. Officials from the National Highway Traffic Safety Administration will be grilled on why it's taking so long to supply replacements for defective Takata airbags, which can explode instead of inflating. Consumers did score a victory in a recent court decision in a California state court of appeals. In a case brought by Tammy Gutierrez of Bakersfield, Calif., against CarMax, one of the country's largest used car dealers, the Fifth District Court of Appeals ruled that Gutierrez had a valid complaint and that she could proceed with a suit alleging that CarMax acted illegally when it sold her a car with an unrepaired safety recall defect." Read more: Forbes: "Federal Car Safety Officials to Be Grilled about Delays in Fix to Exploding Takata Airbags"
"California case questions CarMax's policy on informing customers about recalls"
"A state appellate court in California recently ruled that a woman who sued CarMax because the chain sold her a vehicle with an unfixed safety recall has a valid claim to file a lawsuit. CarMax victim Angela Davidson protests CarMax's selling her family an unsafe recalled pickup that fell apart on the freeway and caught on fire, nearly killing her 12-year-old daughter. 'They said she can go forward with the process. They didn't say she will win,' said Carl Tobias, a professor at the University of Richmond School of Law. The recent decision reverses a lower state court ruling that had dismissed Tammy Gutierrez's suit against the California subsidiary of Goochland County-based CarMax. And the court found that they didn't provide full disclosure, and they also kind of opened the door for future consumers to say that these cars don't even comply with what is known as the implied warranty that the car is merchantable,' Shahan said. Gutierrez maintained that CarMax sold her a 2008 Hyundai Elantra in 2013 without informing her that the stop lamp switch — which activates a light that comes on when the break is pressed — was under a manufacturer recall. Hyundai in 2013 recalled thousands of Elantras for the problem. The opinion could potentially expose CarMax to liability for not disclosing safety recalls when selling used cars, Tobias said. 'The California court says that the plaintiff may be able to state an implied warranty claim under two California statutes. I expect CarMax will appeal to California Supreme Court, which could rule differently. If the lower court ruling holds up, courts in other states may rely on the opinion, especially if their states have statutes similar to the two in California,' Tobias said." Read more: Richmond Times Dispatch: "California case questions CarMax's policy on informing customers on recalls"
"Lawsuit Says CarMax Had Duty to Disclose Used Car Recall"
Plaintiff Tammy Gutierrez says she purchased a 2008 Hyundai Elantra in May 2013 from a California CarMax dealership where the company said the Elantra came with a 30-day limited warranty. According to the plaintiff, CarMax sales staff told her the Elantra was in great condition because it passed a "rigorous 125-point quality inspection." 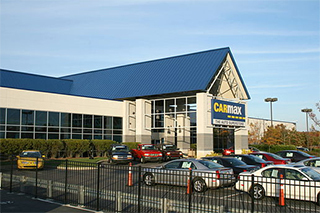 The court ruled the plaintiff made a valid claim that CarMax may have violated California's Unfair Competition Law and the Consumer Legal Remedies Act. The case will now go back to the lower court to be debated. CarMax has been in trouble before for selling used cars with unrepaired safety recalls, but consumer advocates claim federal actions taken against the company have been hollow...."
Read more: CarComplaints.com: "Lawsuit Says CarMax Had Duty to Disclose Used Car Recall"
"California Green-Lights Cars without Drivers"
"California on Monday gave a green light to allowing robot cars with no drivers on state roads within weeks. The new rules for driverless cars leave judging the cars' safety to the companies and federal regulators. 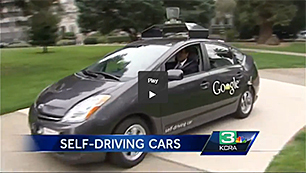 Some consumer advocates said they are concerned that driverless cars are not yet ready for real-world roads. Companies must self-certify that their cars can handle themselves without a human in the driver's seat, and they must comply with all federal safety regulations. Cars that lack steering wheels, accelerators and other manual controls will need waivers from the National Highway Traffic Safety Administration. Cars — such as the ones currently being tested with backup drivers — that have those controls plus the addition of extra hardware and software to navigate autonomously may not need that extra approval. There currently are no federal motor vehicle safety standards specific to autonomous cars, said Rosemary Shahan, executive director of Consumers for Auto Reliability and Safety. That means there are no federal rules about keeping the vehicles safe from hackers, or requiring them 'to operate safely in all types of weather, or in construction zones that lack lane markings, or other road conditions that commonly arise,' she said in an email." Read more: San Francisco Chronicle: "California Green-Lights Cars without Drivers"
Stephanie Erdman was blinded in one eye by an exploding Takata airbag in a recalled Honda. Other victims have bled to death. Tennessee's new law makes it easier for car dealers to get away with selling recalled used cars with this life-threatening safety defect. "NASHVILLE, Tenn. – There's one more reason to read the fine print when buying your next car in Tennessee. 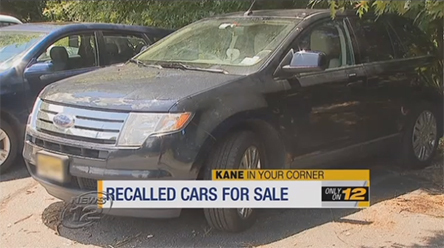 A new law in the Volunteer State allows used car dealers to sell vehicles that are under a safety recall, as long as the buyer signs a disclosure form. The Motor Vehicle Recall and Disclosure Act is the first and only one of its kind in the country – after similar bills failed in four other states. Andy Spears, executive director of Tennessee Citizen Action, is concerned about the potential impact on consumers. "Dealers are incentivized to send their cars they know are dangerous to Tennessee, because if you're making a car deal and you can convince someone to sign this form, and there's no requirement that this has to be done at any time in the process," Spears states. "After you've already agreed to everything and you've worked out the financing – and then, they hand you a form and say, 'Yes, sign this form' – and most people don't read those documents." Spears says his isn't the only group concerned that the state will become a dumping ground for dealers in other states to send cars they're unable to sell. He cites the Takata airbag recall as one example of serious potential problems. It affects more than 1 million cars...."
"Law Could Turn Tennessee into Dumping Ground for Dangerous Cars"
"NASHVILLE, Tenn. - A new law could put countless dangerous cars on Tennessee roads by allowing dealers to easily sell cars under safety recall, according to consumer advocates. The Motor Vehicle Recall and Disclosure Act allows used car dealers to sell vehicles under safety recall as long as the buyer signs a disclosure form. But advocates like Spears argue a majority of buyers will overlook that sheet of paper, which will likely be lumped in with the dozens of other forms a person is asked to sign while buying a car. News Channel 5: "Law Could Turn Tennessee into Dumping Ground for Dangerous Cars"
Spears said the only way for Tennessee consumers to protect themselves now is to do your own research. Run the VIN number of any car you want to buy through www.safercar.gov. If you find a dealer willing to sell you a car under safety recall, Spears said to walk away from the business altogether." "Proponents of a new Tennessee law regulating sales of recalled vehicles call it a step forward in closing what some call the used-car loophole. Consumer and safety groups call it a sham that's written not to protect consumers from dangerous cars, but to shield dealers from lawsuits. At issue is whether disclosure of an open recall offers the consumer enough protection against a safety defect. 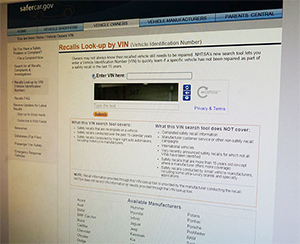 Under federal law, new vehicles with open recalls cannot be sold. But the ban doesn't extend to used vehicles. That gap has frustrated efforts by manufacturers and safety regulators to improve recall repair rates, as vehicles under recall get harder to track as they pass from owner to owner. Efforts in Congress to close the loophole sputtered amid opposition from dealer groups, as did an effort by AutoNation to withhold recalled used cars from the retail market. Yet safety advocates say the policy is a cop-out. They warn that the disclose-and-sell rule sets a precedent for other states to roll back safeguards for used-vehicle purchases, which are governed in many states by consumer protection laws. Rather than increase transparency, they say, the law attempts to shield dealerships from responsibility if a vehicle sold with a recall is involved in an accident. While there's no federal law barring sales of used vehicles under recall, used-car buyers are indirectly protected by state and federal laws against unfair and deceptive trade practices. The Tennessee law is designed to nullify those types of protections, Steven Taterka, a former assistant state attorney general who represents consumers in auto fraud cases, said during a conference call for reporters." "Will Equifax Ever Be Held Accountable for Its 'Rookie Mistakes'?" "For a few bracing weeks this fall, consumers harmed by Equifax, Wells Fargo or another financial institution had the right to their day in court. Consumer advocates say that the best way to drive home that and other pro-consumer messages is to take negligent corporations to court. Of course, the Senate and Trump just took away consumers' right to sue financial institutions, noted Rosemary Shahan of Consumers for Auto Responsibility and Safety (CARS), adding that many car owners ruined financially in an auto loan scandal at Wells Fargo now have little hope for justice. 'It hurts, but we'll keep on fighting,' she says. 'I expect more people will send a message on election time, especially since abuses will likely proliferate – especially because corporations no longer feel they have to be on their best behavior.'" "Car Loan from Wells Fargo? You May Be Entitled to Compensation"
"If you took out a car loan from Wells Fargo, pay close attention to the news, your mail, and your bank accounts. After a new round of controversy, the company has promised to reimburse car loan consumers who were wrongly charged for car insurance that they didn't ask for or need. The situation is summed up in a class action complaint that alleges the bank signed up more than half a million car loan customers for unnecessary auto insurance. Among other charges, plaintiffs in the case also allege Wells Fargo violated the RICO Act, or racketeer-influenced corrupt organization act, a federal law that dates to 1970 and was enacted to battle organized crime. Consumer advocates say that this latest episode is part of a trend. "There's a litany of wrongdoing on the part of Wells Fargo," says Sally Greenberg, executive director of the National Consumers League in Washington. "We've moved our organization's money out of the bank. They're a poster child for bad corporate behavior and at this point nothing surprises me." The Servicemembers Civil Relief Act protects service members who are on active duty out of the country by blocking lenders from summarily foreclosing on their homes or repossessing a vehicle. 'You have to get a court order before you can do that,' Shahan says. 'But Wells Fargo admitted that they did not even bother to check the database for anyone in the military. Every bank knows the CRA is there; there is no excuse for not checking military status. It's not hard to do; it's their job. And when somebody is in a war zone, serving our country, it's not too much to ask.' "
" 'Flood Cars' Sneaking onto the Market after Hurricanes"
Last week, the Department of Justice issued an advisory warning about auto fraud after hurricanes Harvey and Irma. In a September 14 memo, the agency said that it is anticipating 'a high volume of flood-damaged automobiles' to be sold by unscrupulous dealers." Read more: MoneyGeek.com: "Flood Cars Sneaking onto the Market after Hurricanes"
Auto Loans, Consumer Coalition Says"
"Consumer outrage over Wells Fargo's business practices appears to be reaching critical mass. On August 31, just hours after Wells Fargo revealed that employees had created at least another 1.4 million unauthorized consumer accounts, a coalition of 33 consumer groups fired off a letter to two congressional banking committees charging the bank may have lied to Congress last year about its fraudulent auto insurance sales. Wells Fargo protects their profit and interests, but not yours. The coalition, led by Public Citizen & Americans for Financial Reform, suggest top-ranking executives at Wells Fargo may have misled lawmakers during an active investigation last year. During congressional hearings held in September 2016, the executives "may have knowingly and deliberately withheld information" about the bank's fraudulent auto insurance sales practice, according to the coalition. The auto loan scandal, broken by the New York Times earlier this month, revealed an internal Wells Fargo report that showed the bank had charged more than 800,000 people for auto insurance they did not need, leading 274,000 customers to become delinquent on their car loans and nearly 25,000 to have their vehicles repossessed. Some of them had their credit damaged, including enlisted military personnel who stand to lose security clearances as a result of damaged credit scores. 'GOP Senator Crapo and Rep. Hensarling have to decide whether to further expose Wells Fargo's illegal practices and deception of Congress, or cover them up,' said Rosemary Shahan of Consumers for Auto Reliability and Safety, one of the signatories to the consumer coalition letter. 'If they fail to hold Wells Fargo accountable, that will send a signal to all banking institutions that it's open season on American consumers.' "
Heads to Appeals Court on Friday"
"Scandals continue to buffet Wells Fargo & Co. with each new accusation of misconduct, whether it's predatory lending, what board members knew about fake customer savings accounts or the bank forcing unwanted auto insurance on its customers who took out car loans. A related class-action lawsuit in California involving overdraft fees was settled in 2016, with Wells Fargo ordered to repay $203 million to customers. A federal judge reaffirmed his ruling that Wells Fargo had misled customers to think the transactions were paid chronologically when they were actually paid in a high to low order solely to yield more overdraft fees. Here's how the contested overdraft policy worked: A customer who had, say, $74 in the bank might use a debit card for a $3 coffee, a $7 lunch and then pay a $75 Internet bill. By reordering the transactions, Wells Fargo would deduct the $75 first, which would throw the account into overdraft, then debit the $7 lunch, followed by the $3 coffee, then charge overdraft fees on all three. The fees could reach as high as $37 each – meaning that cup of coffee ultimately cost $39. Just by juggling the transaction order, Wells Fargo would make an extra $74 or so in overdraft charges. 'There's no question that the high-to-low overdraft fees were set up solely to make more money for the bank, but they were a terrible deal for the consumer,' says Rosemary Shahan, president of Consumers for Auto Reliability and Safety (CARS) and a longtime activist for consumer rights....All the laws we've fought to get on the books to protect people don't mean a thing if banks can force you into arbitration,' Shahan says. 'If this (Wells Fargo case) goes to arbitration, most consumers would get hardly anything.'" "At Center for Auto Safety, a New Leader for a New Era"
"Since 1970 the tiny Center for Auto Safety has wielded enormous influence through its campaigns to recall vehicles for safety-related defects and to push states to enact consumer protections such as lemon laws. But consumer advocates say the Washington, D.C.,-based nonprofit is entering a new and perhaps more challenging environment under the Trump administration. And, for the first time in four decades, it will be doing so under a new leader, Jason K. Levine, who was named the center's executive director today. Levine, 45, a consumer protection lawyer, will be the center's first new leader since 1976, replacing Clarence M. Ditlow, a legendary safety advocate who died last year of cancer at the age of 72. The job 'will be more challenging than it has ever been before because the administration announced publicly they want to deregulate everything,' said Rosemary Shahan, the president of Consumers for Auto Reliability and Safety, a California-based group." Read more: Fair Warning: "At Center for Auto Safety, a New Leader for a New Era"
"Takata stocks tank during massive recall"
Lawmakers in Congress say Takata should be held responsible for fixing its faulty air bags, no matter what happens with its likely bankruptcy filing. Rosemary Shahan, president of the Sacramento, Calif.-based Consumers for Auto Reliability and Safety group, added: 'I'm concerned that if Takata goes bankrupt, that could slow down production of replacement air bags and increase risks among consumers who are often stuck driving unsafe recalled cars, while they wait for months for repairs. 'Some manufacturers, like Honda, have been providing loaner vehicles, but others, such as Ford, generally refuse requests for loaner cars — leaving their customers at risk of death or devastating injuries,' she said." "A bill to permit e-contracts in auto financing in California has alarmed consumer advocates and attorneys representing victims of unethical auto sales. Rosemary Shahan is fighting to stop it. 'Agreeing to an e-contract is not like swiping a credit card at the grocery store,' says Shahan, president and founder of Consumers for Auto Reliability and Safety (CARS), a Sacramento, Calif.-based non-profit. 'There's a lot more money on the line, and you don't have the same protections. They (car dealers) argue it will expedite the transaction, though that's not necessarily a good thing for consumers. You want time to review a contract and whatever it is you're agreeing to.'" CARS note: The author of this anti-consumer bill is Matt Dababneh (D-Van Nuys). A super-rich major car dealer in his district who is very active politically owns Keyes Lexus, which is being sued for allegedly cheating low-income Spanish-speaking consumers by overcharging them for unwanted, expensive add-ons. One consumer alleges he was charge over $6,000 in unwanted add-ons, and that the dealership failed to provide a Spanish-language copy of the e-contract, even though that is required by California law. The consumer is seeking a permanent injunction to prohibit the dealer from engaging in similar practices in the future. 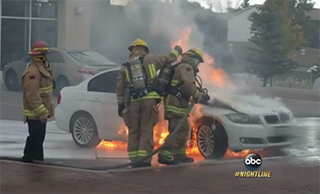 "Officials from two leading auto safety organizations are calling for the National Highway Traffic Safety Administration (NHTSA), the federal agency tasked with investigating potential defects, to investigate a series of fires in parked BMWs following an ABC News report last week. Meanwhile, several new consumer complaints from BMW owners reporting similar incidents have appeared in NHTSA's database and on BMW owners' blogs in the past several days. Calling the 43 fires uncovered by ABC News 'disturbing,' Rosemary Shahan, president of Consumers for Auto Reliability and Safety, said NHTSA should take a serious look at the reports. 'They definitely should,' Shahan said. 'They should be investigating and getting documents from BMW and find out what's going on.'" "California's DMV is close to finalizing rules to allow auto manufacturers and tech companies to sell semi-autonomous and fully autonomous cars to consumers. Reportedly, auto manufacturers, Google, Uber, and other tech companies foresee hundreds of billions of dollars a year in profits. Not just in selling a new generation of vehicles, but also in tracking you, compiling your personal data, and targeting you for marketing as you ride along. Plus the vast cost-savings from eliminating millions of jobs held by drivers and truckers..."
Read more: "Autonomous Mayhem: Head-to-Head between safety advocate and CEO of Alliance of Auto Manufacturers"
"Ghost cars could be on streets by year's end"
Could you be seeing this car in your neighborhood soon? "Cars with no one in them may be cruising downtown streets as early as the end of this year if city and state officials have their way. The tech industry is countered by consumer safety groups. Consumer Watchdog, a Santa Monica-based group, argued this week that proposed DMV rules 'are too industry-friendly and don't adequately protect consumers.' And Rosemary Shahan of Sacramento-based Consumers for Auto Reliability and Safety pointed out that the auto industry has a long history of hiding safety defects on their vehicles." Read more: Sacramento Bee: "Ghost cars could be gliding down Sacramento streets by year's end"
"Check for Recalls before You Buy a Used Car"
safety recalls may become more common"
"On Friday, New York Attorney General Eric Schneiderman announced settlements with 104 car dealerships that sold vehicles with unresolved safety recalls without informing the buyers. 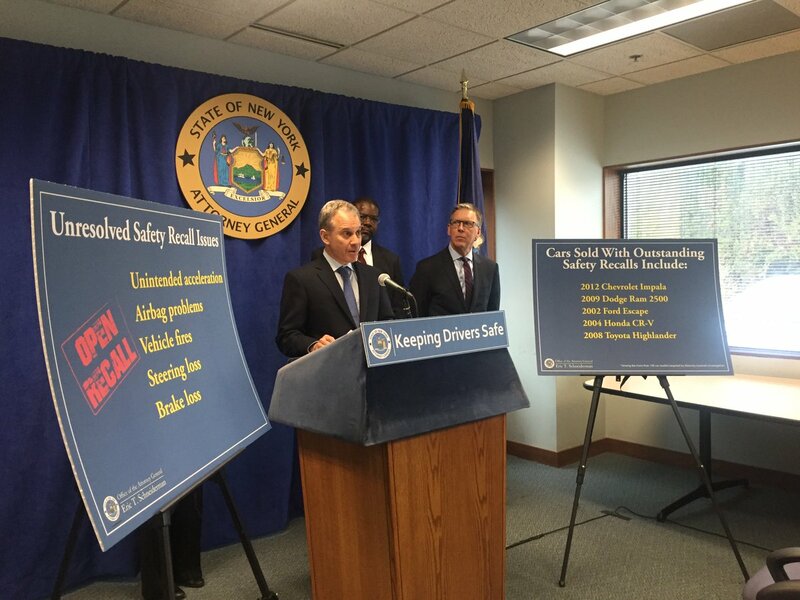 New York Attorney General Schneiderman's settlements allow dealers to continue selling unsafe recalled deathtrap cars with "disclosure." The settlements with the dealerships come weeks after the Federal Trade Commission finalized settlements allowing auto dealer companies to market used cars with unresolved safety recalls, as long as they provide a general statement in advertising that the cars might be subject to a recall. Consumer advocates, who had called for an outright ban on this practice, say that the recent FTC settlements could encourage more dealers to sell cars that are unsafe. They're allowing car dealerships to mislead buyers about the safety of their cars, says Rosemary Shahan, president of the California-based Consumers for Auto Reliability and Safety, which is suing the agency in federal court. Two other groups are also part of the lawsuit — the Center for Auto Safety and the U.S. Public Interest Research Group." 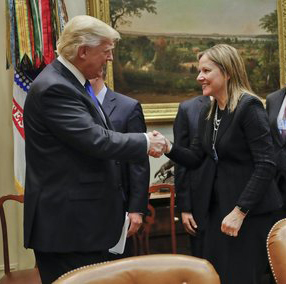 "Critics fear Trump will tap auto exec for [National Highway Traffic Safety Administration] NHTSA"
Could GM CEO Mary Barra be appointed by Trump to head up NHTSA? "Washington — Car-safety advocates are worried that President Donald Trump might turn over the keys to the agency charged with regulating the safety of the nation’s automobiles to someone from within the industry’s ranks. 'He has a penchant of appointing people who have been regulated and allowing them to dismantle agencies,' Shahan continued. 'You have all these companies who have been under investigations for safety violations recently. I wouldn’t be surprised if he appointed somebody from one of them. It would be consistent with his other appointments.'" Read more: Detroit News: "Critics fear Trump will tap auto exec for NHTSA"
How Car Dealers Can Fake Your Auto Loan"
"Last December Tanisha Coley was window-shopping at a Kia car dealership in Stamford, Conn., when she decided to fill out a credit application to see whether she had enough credit to buy a car. 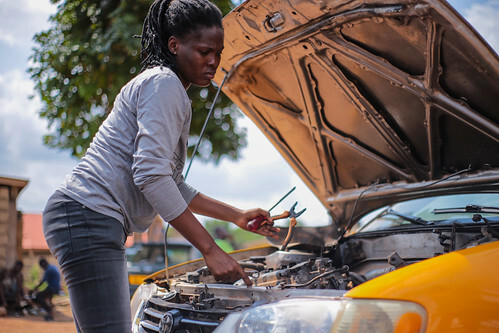 As a 39-year-old student and mother of five who was working part-time, Coley was in the market for a reliable used auto. After looking around for a while, she left without buying anything. But a few weeks later, Coley was stunned to find her credit report said she had taken out an auto loan of $28,000. 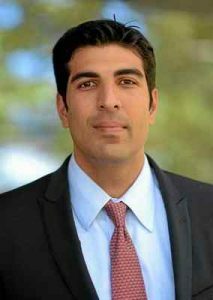 Assemblymember Matt Dababneh (D-Van Nuys) is pushing legislation that would make it easier for crooked dealers and lenders to cheat consumers. 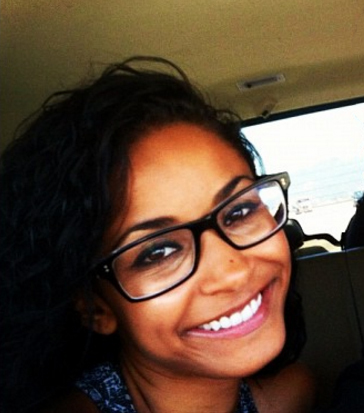 How did Coley end up with a loan for a car she never bought? According to a lawsuit filed on her behalf, the Kia car loan was “electronically booked” on December 12 without Coley’s knowledge by Credit Acceptance Corporation, a subprime auto lender with a checkered past. According to the counterfeit installment loan, Coley owed a balance of $17,737, minus insurance payments, an extended warranty and a down payment of $7,000 – none of which she had made. E-contracting may be easy and convenient, but it has also generated consumer complaints and lawsuits across the country. Some unethical dealers have used e-contracts to charge more than the agreed-upon sales price, tack on hundreds or thousands of dollars in extra add-ons that consumers didn’t want or agree to buy, or overcharge for government fees and engage in other illegal practices – such as e-signing consumers’ names without showing buyers the contract. Despite its perils, auto sale e-contracting continues to grow and may even be coming to California. The California New Car Dealers Association is pushing for the passage of Assembly Bill 380, which would allow e-contracting during auto sales in California. The bill, sponsored by Matt Dababneh (D-Van Nuys), is opposed by Consumers for Auto Reliability and Safety, CALPIRG, Consumer Action, the Center for Responsible Lending, the Consumer Federation of California, and the Public Law Center, among other [consumer and economic justice organizations]." Read more: Forbes: "E-Contract Abuse Alert: How Car Dealers Can Fake Your Auto Loan"
"Is Your Used Vehicle a Timebomb? Loophole Lets Auto Dealers Sell Millions of Recalled Cars as 'Safe'"
"Consumer advocates have been pushing to close the loophole that makes this possible. The fight intensified this February, when six consumer groups sued the [Trump Administration] Federal Trade Commission (FTC) over a consent order involving General Motors and two of the country’s largest auto dealers. The FTC had issued complaints against the three for failing to disclose that their used cars were recalled for safety problems that were never fixed. In its December 2016 consent order, the FTC allowed the companies to continue selling used cars that were recalled and never repaired as “safe” or “certified” – as long as they disclosed that the recall repairs had not been made. FTC would allow dealers to advertise recalled cars with lethal safety defects, including catching on fire, as "safe." ....All the major car manufacturers had previously forbidden their dealers to sell used cars with unfixed recalls, says Shahan, but after the consent order Ford reversed gears and began selling them. And Trump’s presidency makes it even less likely these loopholes will be closed, as the case of AutoNation suggests. AutoNation, the country’s largest car dealership, had pledged not to sell vehicles with open recalls, but, quietly backpedaled after Trump’s victory and resumed sales of vehicles with open recalls. According to Automotive News, CEO Mike Jackson concluded the change in government meant the death knell for legislative action on used vehicles with open recalls." Legal Clash with FTC on Marketing of Used Cars"
"Can a used car be marketed as 'safe' or 'certified' even if it has defective air bags, a faulty ignition switch or other potentially lethal problems? 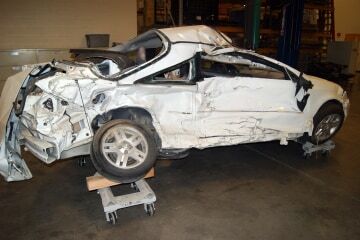 FTC would allow dealers to advertise cars are "safe" when they have killer safety defects that have not been repaired. Under the consent order, the agency said dealers who market a vehicle as safe must have completed repairs on recall issues or disclosed clearly that the vehicle [may remain] subject to an open recall. That, however, can amount to a 'death sentence' for used car buyers who unwittingly purchase vehicles with unrepaired recalls, while also posing a direct threat to others on the road, said Rosemary Shahan, founder of Consumers for Auto Reliability and Safety, one of the advocacy groups involved in the new legal challenge." Read more: Fair Warning: "Very Safe -- Except for One Thing"
"FTC Sued for Allowing Car Dealers to Sell Recalled Vehicles with Potentially Lethal Defects"
Jewel Brangman was just 26 years old when she was killed by a recalled Honda Civic with an unrepaired Takata airbag. More innocent people will die unless we stop the FTC and keep dealers from advertising these cars as "safe." "Why are dealers still selling cars with unrepaired — and potentially fatal — safety recalls? Consumer advocates are outraged by the Federal Trade Commission's decisions in several recent cases that allow car dealers to advertise used vehicles with open recalls as safe. Last year, the FTC reached legal agreements with General Motors and two car dealers who had advertised how rigorously they inspected their cars, but failed to disclose that some of those "certified" or "inspected" vehicles were subject to unrepaired safety recalls. According to the complaint, some of those open recalls could cause serious injury from issues such as faulty ignition switches and airbags, problems with the power steering and braking, and alternator problems that could result in a fire. Everyone else in this fender-bender walked away. Jewel Brangman bled to death because she was driving a Honda Civic with an unrepaired Takata airbag. The rental car company, like many dealers, failed to get it repaired before handing her the keys. As part of the settlement, the commission decided the dealers could claim used vehicles with unfixed recalls are "safe" or have been subject to "a rigorous inspection," as long as they disclosed that those recall repairs were not made. GM and the car dealers did not admit any wrongdoing. Last week, the Center for Auto Safety, Consumers for Auto Reliability and Safety, and the U.S. Public Interest Research Group sued the FTC, asking a federal court to review and overturn these consent agreements. "It's a dangerous and irresponsible abuse of the commission's authority," said Rosemary Shahan, president of Consumers for Auto reliability and Safety (CARS). 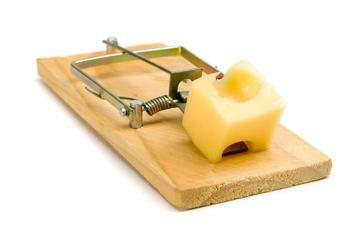 "Instead of protecting consumers, the FTC is allowing false and deceptive advertising. A vehicle cannot be safe when it has a potentially lethal safety defect that hasn't been fixed." Read more: NBC News: "FTC Sued for Allowing Car Dealers to Sell Recalled Vehicles with Potentially Lethal Defects"
"New lawsuit could force used car dealers to repair recalled vehicles"
....massive retailer AutoNation saw the writing on the wall and announced big plans to repair all recalled vehicles before rolling them into showrooms. A year later, though, AutoNation abandoned that program: not only was repairing vehicles costing the company in lost sales, but CEO Mike Jackson also cited Donald Trump's win in the U.S. presidential election as a sign that legislative efforts to mandate repairs of used cars would stall. 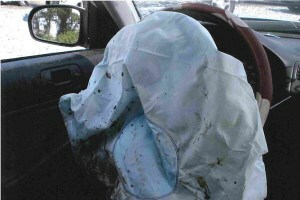 CARS sues to stop dealers from advertising cars with defects, like this Honda with a recalled Takata air bag, that blinded Stephanie Erdmann, as "safe." Even in today's contentious political climate, when everything is spun for maximum effect, words still mean things. If a car is listed as "certified pre-owned", it implies certain benefits, certain things that consumers can take for granted. Shifting the definition of the phrase is potentially hazardous to consumers' health. On that argument alone, the plaintiffs would seem to have a strong case. On the other hand, the courts have a long history of believing in the principle of "caveat emptor": buyer beware. The court could cite such precedents and side with the FTC. 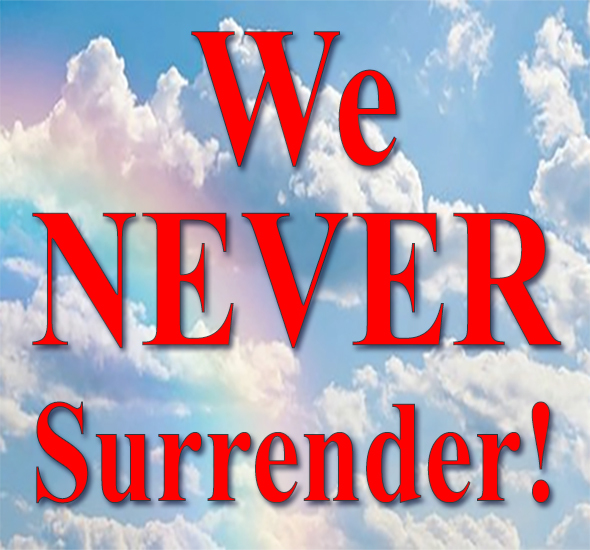 We're not lawyers or judges, so we won't comment on the likelihood of one verdict versus another. But we'll do our best to keep you posted." Read more: Washington Post: "New lawsuit could force used car dealers to repair recalled vehicles"
"How to Buy a Used Car in an Age of Widespread Recalls"
"For people in the market for a used car, the "certified pre-owned" designation has long been the gold standard, an indication that a qualified mechanic has vouched for the car and that a buyer can expect a vehicle that is - hopefully - almost as good as new. But the Takata airbag recall, which is the biggest in history, has upended all of that. Now the certified designation - known in the auto trade as C.P.O. - will no longer necessarily have the same meaning. For one thing, last month the Federal Trade Commission made it easier for cars to be billed as "certified," even if they were under recall and hadn't been fixed yet. And just as significantly, Ford - with the F.T.C. settlement for cover - told its dealers this week that they could sell recalled vehicles and certify them too, so long as they did not advertise them as "safe" and required buyers to sign forms acknowledging that they were aware of the problem. The used-car chain CarMax has taken a similar approach to Ford's. While it too had a recent run in with the F.T.C. over disclosure issues, the company says that it is transparent as possible, from its online listings to its in-person interactions. AutoNation [the largest new car dealership chain in the U.S.] took a different approach, at least at first. In 2015, its chief executive, Mike Jackson, told Automotive News that the recall situation was "a dysfunctional nightmare that the industry should be ashamed of." The company pledged to sell no cars with open recalls, period. By last year, it was costing the company dearly, to the tune of 6 cents per share of its earnings in the third quarter. In November, it gave up and began selling some cars with open recalls (and full disclosures). The lack of Takata airbag replacements, the F.T.C. 's decision and other anticipated regulatory rollbacks proved to be too much.... Worried about a car that you already have? You should be, both about future Takata recalls and others that we don't know about yet. Rosemary Shahan of the Consumers for Auto Reliability and Safety suggests registering your vehicle both with your car's manufacturer and the National Highway Traffic Safety Administration so that you get a notice if your airbag or anything else comes up for recall. Run the vehicle identification number through some checks yourself from time to time too, just to make sure you're not missing anything. You might also hope that more dealers act out in the same way as Earl Stewart of Lake Park, Fla. He refuses to sell used cars with open recalls, but he doesn't want to turn away people who are trading in cars with recalled Takata airbags that they have not been able to get fixed yet. This trade-in policy isn't just good customer service; if he can't take their trade, they might not buy another vehicle from him at the same time that they turn their old one in. As a result, however, he has 100 or so cars sitting in a lot waiting for repair. And when he sent secret shoppers into competing dealers to see how much disclosure they were doing about recalled cars they were selling, he was outraged at what he found. "Maybe this is unique to South Florida, but they are all extremely devious and proactively trying to sell recalled cars by saying there is no recall," Mr. Stewart said. So he filed a lawsuit to try to swing others over to his way of doing things. 'I don't want the money - I just want to stop the practice,' he said. 'We're going to keep filing suits until they throw the towel in.'" Read more: New York Times: "How to Buy a Used Car in an Age of Widespread Recalls"
"A consumer group criticized those agreements as failing to protect car buyers and actually harming consumers. By permitting the companies to disclose that cars may be subject to recalls, the FTC is allowing them to advertise that recalled and unrepaired used cars are safe and have been 'repaired for safety,' Consumers for Auto Reliability and Safety said in a statement. The consent orders may lower the standard for the industry in this type of advertising and are weaker than state laws, the group said." "Trump Appointments: Is a Step Back for Auto Safety Looming?" "As President-elect Trump pieces together his administration, consumer advocates are wondering who will head up the National Highway Traffic Safety Administration – a crucial position when it comes to automotive safety. That position is now held by Mark Rosekind, who got the job in December 2014. One can make a good argument that Rosekind has been the most aggressive, pro-consumer administrator in years. It's been a startling and happy change for an agency that has had a relationship with the auto industry routinely criticized by consumer advocates as cozy and accommodating. The decision on whether to replace Rosekind is expected to be made by Elaine Chao, who has been selected to head up the Department of Transportation. The N.H.T.S.A. is part of that department." Note: Elaine Chao is married to Republican Senate Majority Leader Mitch McConnell. Since 2011, she has been serving on the Board of Directors of Wells Fargo, which has been caught engaging in numerous illegal practices, including creating bogus accounts through fraud and identity theft, overcharging over $203 million in overdraft fees, and illegally repossessing cars from military Servicemembers serving our nation on active duty. Read more: Trump Appointments - A Step Back for Auto Safety? "Deadly Airbags are Still on the Road"
ELK GROVE (CBS13) – The Takata airbag recall is so huge that carmakers can't get all the vehicles on the road fixed right away. And with the reported deaths, Elk Grove couple Judi and Jim Braddy say they don't want to drive their 2013 Volkswagen Golf in the meantime. Judi says her Golf doesn't see much time on the road these days. 'If I drive it at all, it's just to the store and back,' said Judi. It has been recalled over its Takata airbag, just like 29 million other cars tied to 14 carmakers. The airbag issue is now blamed for 11 deaths and more than a hundred injuries. "They have no idea when the part is going to be available," said Judi. With seven months left on their lease, Judi and Jim just want it fixed or want to trade in their Golf early. 'My biggest fear is that something could happen to my wife or…granddaughter,' said Jim. But that didn't work for the Braddys; they say Volkswagen refused to provide a loaner car...."
See the full report: KOVR TV: "Deadly Airbags are Still on the Road"
Note: If you have a recalled car with a Takata air bag and the manufacturer refuses to provide a loaner car, consider renting a safe car and seeking reimbursement for the expenses, either by taking the manufacturer to small claims court or obtaining legal counsel. The National Association of Consumer Advocates lists attorneys who specialize in representing consumers in auto warranty and fraud cases. Some attorneys have succeeded in obtaining relief for clients stuck with unsafe recalled cars, who are facing lengthy delays for repairs. 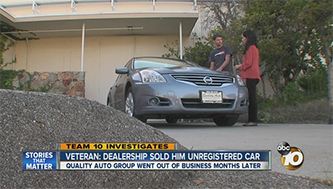 "Local Military Veteran Says Car Dealership Selling Unregistered Cars"
"SAN DIEGO - A local military veteran saved his money to buy a used car only to find out it is not his at all. Michael Bentley served in the Navy and was stationed in San Diego. He told Team 10, 'I lived out here when I was in the military; loved it out here.' Bentley moved back to San Diego for a new job. He knew he needed a car, so he went to Quality Auto Group on Miramar Road to buy one. 'It's a 2010 Nissan Altima. I liked it because it had a nice four-cylinder [engine],' Bentley said. 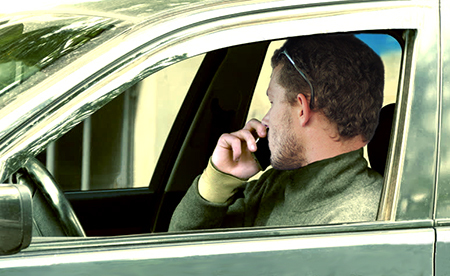 He had no issues at first, but a few months later, he was pulled over for having an unregistered vehicle. Bentley has been pulled over twice so far and has had to pay a couple hundred dollars' worth of tickets. His temporary tags had expired. Bentley was waiting for his permanent license plates and registration from Quality Auto Group, but they never came. Bentley called the business several times, but he could not get a hold of anyone. He later learned Quality Auto Group went out of business, leaving him with unanswered questions. 'I don't want to be driving an illegal car,' Bentley said. Bentley later learned the Nissan he bought also had an outstanding lien. His lawyer told Team 10 the dealership did not have clear title and never properly registered the car with the DMV, which is a violation of the vehicle code. 'I pretty much have a $17,000 paperweight,' Bentley told Team 10. Team 10 went to an address listed for the dealership owner, Manouchehr Sorbi. Nobody answered the door and the front room looked empty, except for a dog inside. Consumer advocate Rosemary Shahan said it is far too easy for small dealerships like Quality Auto Group to disappear and reappear. 'Very often, they just start up under another relative's name so they go in and out of business over and over again,' said Shahan, president of Consumers for Auto Reliability and Safety. Shahan recommends shoppers looking for a used car ask to see the actual title and double check it with the DMV. Bentley plans to file a civil lawsuit. He is sharing his story so others will not have to deal with a similar predicament. A DMV spokesperson confirmed there were three cases against Quality Auto Group, but did not go into detail. Those cases are now closed, and the DMV could not talk about Bentley's case because it is an open investigation." "Ms. Robles's son, Jose Contreras, 26, bought his mother's car a year ago from Ivan Henderson, a man he met playing pool. Last month, during a fender-bender, the car's airbag exploded, propelling metal parts that killed Ms. Robles, who worked the 5 a.m. shift as a breakfast attendant at a Hampton Inn. Despite the lack of explicit federal laws on recalled used cars, a patchwork of state consumer protections and laws already effectively prohibits the sale of dangerous vehicles, some safety advocates and lawyers say. "Anytime they conceal a material defect, that's fraud," said Rosemary Shahan, the president of the nonprofit Consumers for Auto Reliability and Safety. New York State, for instance, forbids the sale of vehicles "as is." The New York City Department of Consumer Affairs says cars offered for sale must be "roadworthy," and it has gone after dealers it suspected of selling cars that were recalled but not repaired. Some companies like CarMax, one of the country's largest used-car dealers, advertise that their vehicles pass rigorous safety tests — even if the cars have unrepaired problems for which recalls have been issued. CarMax says it discloses recalls. 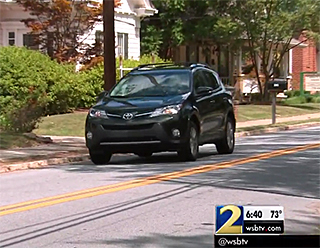 Still, Ms. Shahan and others argue, advertising a recalled vehicle as safe is misleading." 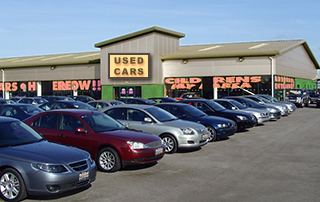 Read more: New York Times: "Used Cars Slip Past Recall Safeguards"
Buying at a Used Car Auction? "On Tuesday, two reporters from The New York Times visited a car auction held in Queens by the New York City Department of Finance. It was a lesson in how consumers can purchase cars that have deadly defects and how sellers have few obligations to disclose those defects to the public....half of the cars had been recalled for various reasons, including faulty ignition switches and Takata airbags, which between them have killed or injured hundreds of people worldwide. Unlike new cars, used cars have no federal requirement that sellers disclose safety recalls or fix dangerous defects, although some state and local regulations offer consumers some protections. But enforcing those protections can be tricky, and sometimes happens only after someone has been harmed, requiring lawsuits for wrongful death or negligence. That is why safety advocates like Rosemary Shahan, the president of the nonprofit Consumers for Auto Reliability and Safety, have been pushing for laws that specifically ban the sale of recalled vehicles in which repairs have not been made. 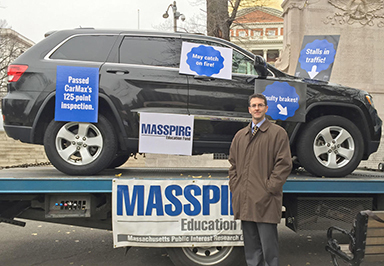 'It's illegal for a dealer to knowingly or negligently sell an unsafe car,' Ms. Shahan said. 'It's a question of, how many layers of enforcement can you add?' "
Read more: NY Times report "Buying at a Used Car Auction?" "Sacramento workshop brings future of self-driving cars into focus"
Rosemary Shahan, president and founder of the Sacramento-based Consumers for Auto Reliability and Safety, said that would unfairly place liability on the 'driver,' when the onus should fall to the automakers developing the technology. She also said there should be driver training in the event of an autonomous vehicle failure and what to do if the electricity grid goes down." "The case, which heads to the Superior Court of Georgia for trial early next year, has prompted a consumer advocacy group to lobby for a law that would force companies to adhere to their warranty promises even when products are taken overseas by members of the military on active duty. Rosemary Shahan, president of Consumers for Auto Reliability and Safety, said she and the Snells have been in talks with the U.S. Senate Committee on Commerce, Science and Transportation about creating legislation that would guarantee military members on active duty would get warranties honored. Shahan pushed for a similar law that was passed in 2007 in California that protects military service members under California's lemon laws, even for a vehicle purchased outside California. That's important for military service people, who move every two to three years on average. Flinn said he hopes there will be political willingness to pass a similar law that covers overseas deployments. He said, 'We need to get something done to make sure the warranties follow servicemen overseas.'" "Are safety regulators finally going to help victims of geographic recalls?" "To the agency’s credit this is the second time this year that N.H.T.S.A. has expanded a regional recall. Earlier this year it required the deadly Takata airbag recall to go national, although some consumer advocates say that was a no-brainer. So, could N.H.T.S.A. suddenly be paying more attention to regional recalls and generally getting tougher on the automakers? Some consumer advocates think that’s possible due to the influence Mark Rosekind, who was appointed late in 2014 by President Obama to take over an agency with a reputation among consumer advocates for being too accommodating to the auto industry at the expense of consumers. Under Rosekind the agency has been more aggressive and tougher, says Rosemary Shahan, the president of Consumers for Auto Reliability and Safety. But, she says, N.H.T.S.A. should never have been allowed Ford to recall only 767,000 of those vehicles in the first place. Read more: "Forbes: Ford expands safety recall"
"Congressman offers unusual defense in ethics probe"
"U.S. Rep. Roger Williams, a Texas Republican under investigation by the House Ethics Committee, asserts that he did nothing wrong when he offered an amendment that would benefit car dealers — despite the fact that he himself is a car dealer. Members of Congress, say the rules, may not use their positions for personal financial benefit. But Williams asserted in a statement that he did not profit from his actions. Instead, Williams revealed, he offered the amendment at the behest of a lobbyist. And the lobbyist — whose employer, the National Automobile Dealers Association, one of the congressman's top donors — was even kind enough to send along 'proposed language' for the text of the amendment. The case is being considered by the House Ethics Committee. There is no timetable for when the committee will rule. But regardless of what happens, the Austin area congressman's defense offers a rare glimpse at how business is often done in the Capitol. In his statement, Williams says that his business does indeed offer rental cars for use by customers who are getting their vehicles fixed as well as loaner cars...Williams, in his defense, said he sometimes loses money under the arrangement and that the passage of the amendment would have "zero bearing" on his business interests. Shahan said dealers still benefit indirectly. Shahan said it was clear that the congressman was not interested in consumers. 'It doesn't get any clearer that he was not acting in the public interest, he was acting in the interest of the NADA members. He doesn't even claim to be acting in the public interest,' she said." 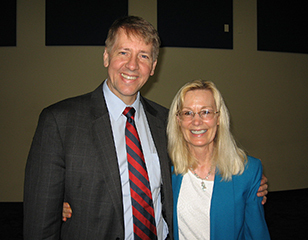 At a roundtable and Field Hearing in Sacramento hosted by the Consumer Financial Protection Bureau, CARS President praised CFPB Director Richard Cordray and his team for helping improve America's economy and protect consumers, especially military Servicemembers and their families. At the roundtable, Shahan also provided information about predatory lending practices perpetrated by "Buy Here Pay Here" car dealers, who commonly overcharge vulnerable car buyers who are desperate for wheels to get to work for junky cars that break down soon after purchase. Some don't even make it home from the car lot. 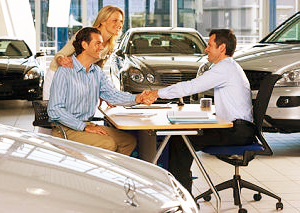 The dealers typically also charge exorbitant interest rates on loans that vastly exceed the value of the cars. When the cars break down, the car buyers lose their only means of transportation to get to work, costing them their jobs. When they default on their loans, the dealers repossess the cars, and then resell them again and again. Each time, they make a high profit. As reported in an award-winning series by Los Angeles Times reporter Ken Bensinger, some dealers make this predatory practice, known as "churning," a regular business practice. Too often, California's Department of Motor Vehicles fails to protect car buyers from such practices. Even if dealers are closed by the DMV, or declare bankruptcy, they often re-open again, sometimes in the exact same location, under a relative's name, and continue to engage in the same illegal conduct. What happens when you can't get your car registered? "Dealer can't register car. Woman wants refund." "Dori Hess sums up her situation in a made-for-TV sound bite. 'I bought a car I can’t drive,' she said. Mechanically speaking, her new car is perfect. But legally, it’s not drivable. 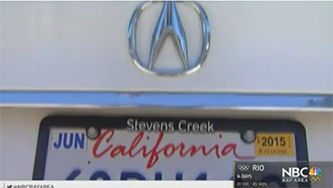 NBC Bay Area report: "Dealer can't register car. Woman wants refund." Hess bought a 2011 Acura TSX for about $18,000 in September [over 8 months ago]. 'I paid for it in full,' she said. And yet, the car is still unregistered. What’s the hold up? The dealer. Hess says AutoNation Acura of Stevens Creek agreed to title and register the TSX for her. Her paperwork even lists a $29 service fee. But the dealer hasn’t titled or registered the car. The expired plate is proof....Hess's Acura is screaming for a ticket. Rosemary Shahan, the consumer advocate who leads Consumers for Auto Reliability and Safety, is lobbying the Legislature to give drivers a break when dealers are careless with paperwork. 'You get penalized if they don’t do their job,' she said." Unless Governor Brown vetoes a bill (AB 516) that is being backed by toll authorities and the California New Car Dealers Association, more innocent car buyers like Dori will be unfairly penalized when dealers sell them cars they cannot get properly registered, through no fault of their own. Read more: Can’t get your car registered? Stopped by Police? You are not alone. "Car Dealer-Congressman Subject of Ethics Probe"
amendment that would benefit his business"
"The [United States] House [of Representatives] Ethics Committee has revealed it is investigating the conduct of U.S. Rep. Roger Williams, R-Texas, a Weatherford car dealer who authored an amendment that would have exempted his industry from a safety requirement and benefited his own business. Williams’ apparent conflict of interest was first reported by the Center for Public Integrity in November and led to a formal complaint being filed by the Campaign Legal Center, a Washington, D.C. legal watchdog. U.S. Rep. Roger Williams, a car dealer, adds car dealer loophole to Rental Car Safety Act. The Office of Congressional Ethics is a nonpartisan organization that vets complaints against members. The press release revealed for the first time publicly that the claims of misconduct leveled against Williams were under review by the House Ethics Committee. A spokesman for the House Ethics Committee declined comment. Punishment for violating House rules can include a formal reprimand, censure or even expulsion. Each action would require a vote of the full House. Rosemary Shahan, president of Consumers for Auto Reliability and Safety, a group that advocates for vehicle safety, was highly critical of Williams’ conduct. Shahan said she hopes the news of the committee’s review 'sends a message that lawmakers should be representing the public and not their own personal interests.' "
"Takata airbag recalls continue to hit dealerships"
"... Rosemary Shahan, the founder and president of California-based Consumers for Auto Reliability and Safety...said the first thing someone should do before buying a car is check its vehicle identification number, or VIN, and make sure it’s not under a recall. Car owners who receive a recall notice should make an appointment to get their vehicle repaired as soon as possible and shouldn’t assume that everything’s OK just because they’ve been driving a car for many years without a problem. If there is a wait list to get a car repaired, Shahan suggests asking for a loaner car to use until the parts are available. Some dealerships will provide one at no charge in this situation. 'All recalls you need to take seriously and this is no exception,' she said." Consumers Catch Some of the Blame, Too"
"In barely a month, more than 16 million vehicles using dangerously defective Takata airbags have been recalled, 4.4 million on Thursday alone. On top of the 24 million vehicles impacted by an earlier service action involving Takata, it's the biggest recall in automotive history. This week, the Rental Car Safety Act — inspired by the 2004 deaths of sisters Raechel and Jacqueline Houck — went into effect and now requires rental car companies to pull recalled vehicles out of their fleets until defects are fixed. 'The responsibility for the huge numbers of recalled cars lies squarely with the manufacturers and suppliers, who concealed defective, unsafe products,' not consumers, said Rosemary Shahan, an advocate with the California-based Consumers for Auto Reliability and Safety. And she calls on Congress to provide more funding to NHTSA to crack down on the industry and find problems sooner." Read more: NBC News: "America's Recall Crisis"
Some auto safety advocates fear the government is embracing the technology too quickly without assessing its actual capabilities and practical implications. With billions of dollars at stake and aggressive lobbying by the tech and automotive industries, safety advocates fear that regulators will allow themselves -- and the public -- to be steamrolled in the name of progress and innovation. But some automotive safety advocates fear government is embracing the technology too quickly without carefully assessing its actual capabilities and practical implications. With billions of dollars at stake and aggressive lobbying by the tech and automotive industries, safety advocates worry that government regulators will allow themselves – and the public – to be steamrolled in the name of progress and innovation. Rosemary Shahan, the founder and president of Consumers for Auto Reliability and Safety, is concerned that autonomous cars are not ready for the road. “These cars are not ready for prime time,” said Rosemary Shahan, the founder and president of Consumers for Auto Reliability and Safety, a Sacramento, Calif.-based advocacy organization best known for spearheading passage of the state’s automobile lemon law. 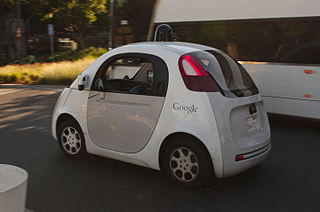 Autonomous cars, which have been in development since at least 2009, are known to struggle in inclement weather; rain, fog and snow disrupt their sensors. “We should be requiring them to prove that they’re really ready” before rushing self-driving cars to consumers, Shahan said. Consumer advocates warn consumers with recalled cars to insist on a rental car, pending repairs to their own cars. It's too risky to accept a random loaner car from a dealer. What if the loaner is also under a safety recall? Dealers with fleets of 35 or fewer cars got themselves exempted from the federal rental car safety act. "Rental car companies are prohibited from distributing vehicles that have been recalled by the National Highway Traffic Safety Administration under a new federal law that took effect Wednesday. The new law requires rental companies with fleets of more than 35 vehicles to pull recalled cars from their rotations until they are repaired. Transportation Secretary Anthony Foxx said he is happy to enforce the ban now that has Congress has codified the prohibition in federal law. The ban on recalled cars does not apply to used car dealerships, despite a push from safety advocates to also apply the prohibition to them. 'I’m thrilled that the Safe Rental Car Act named for my beautiful, treasured daughters, Raechel and Jacqueline, is now the law of the land. But I’m worried about the loaner-car loophole for car dealers and remain committed to closing that dangerous safety gap,' Cally Houck said in a statement distributed on Wednesday by the Consumers for Auto Reliability and Safety group. 'If this law was in existence when my cherished, beautiful daughter Jewel rented a car, she would still be alive today,” added Alexander Brangman, whose 26-year-old daughter Jewel died in a 2014 crash while she was driving a rented 2001 Honda Civic.'" but they have a deadly track record too"
"The Takata scandal also added to the troubled history of automotive air bags, which became widespread standard equipment in the 1990s and have saved thousands of lives. Many cars now have multiple air bags inside. Shahan, who said her 2007 Subaru Outback is among the Takata-equipped cars being recalled, suggested dealers provide evening and weekend hours to repair the air bags, or send mechanics to drivers’ homes or places of work to fix the recalled cars." 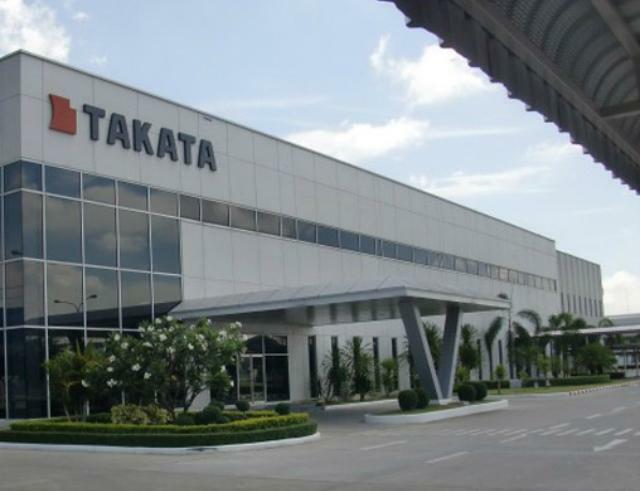 "Takata Discarded Evidence of Airbag Ruptures as Early as 2000"
"JACKSONVILLE, Fla. — As the safety crisis surrounding Takata’s airbags that are prone to rupture has mushroomed, the Japanese auto supplier has insisted that the propellant in its airbags is safe. But on Friday, testimony in a Florida court showed that Takata’s own engineers discarded evidence that may have shown otherwise as long as 16 years ago. As early as 2000, around the time the propellant, which includes a compound called ammonium nitrate, was introduced into Takata models, failures occurred during internal testing. ......Safety advocates found it disturbing that Takata might have known about potential problems years ago, but not immediately reported them to customers, automakers and safety regulators. 'It’s very damning,' said Rosemary Shahan, founder of Consumers for Auto Reliability. 'It’s bad enough to have a faulty product, it’s even worse to cover it up.'" 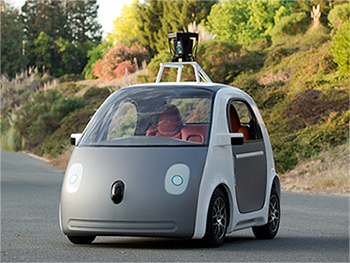 "Google urges DMV to change rules on driverless cars"
Many consumer groups are skeptical of driverless cars. 'The DMV is wise and smart to require that a driver be behind the wheel, because if you look at what's been happening, there's been thousands of times when the drivers had to take control of the cars to prevent a crash,' said Rosemary Shahan, president of Consumers for Auto Reliability and Safety." 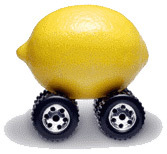 "Lemon Aid: What you need to know about state lemon laws"
Lemon laws only apply to vehicles still covered by the manufacturer’s original warranty, although you may be able to make a claim later as long as you have documentation the problem began before the warranty expired. So hang on to those receipts from every visit to your dealer or mechanic. And get a record of every visit, whether the wrenches come out or not. The reason for hiring an attorney is simple. Carmakers have a whole lot more legal firepower than you do, and their lawyers have been to this rodeo before. “People should seek legal advice,” says Rosemary Shahan, president of Consumers for Auto Reliability and Safety. Shahan knows a thing or two about lemon law. She and her non-profit advocacy group initiated California’s lemon law, which became a model for other states nationwide. It’s also critical to pick the right attorney. A quick Google search will bring up pages of lemon law attorneys, some of whom have the look of virtual ambulance chasers. Read more: Car and Driver, Lemon Aid: "What you need to know about state lemon laws"
5 Million More Vehicles Recalled"
"Federal safety regulators on Friday said that a man had died in late December when an airbag made by Takata exploded in the vehicle he was driving. It was the 10th death linked to what has become one of the country’s biggest consumer safety problems. Still, Friday’s announcements left Ms. Shahan concerned over what is still to come. 'It looks pretty inevitable that all of these airbags with ammonium nitrate may be recalled,' Ms. Shahan said. 'You don’t want to wait until there is a death and then figure it out. That’s what we are all trying to prevent.'" "There’s also the chance that some of these safety features could produce some unwanted, unintended consequences for drivers and injury claims. Peterson says there could be a false sense of security among drivers when it comes to cars with improved safety features. 'Sometimes when people know a car is safer, they do foolish things,' he says. And in the future, some of these tech-driven safety features could even be harmful. Rosemary Shahan, president of Consumers for Auto Reliability and Safety, says that the fact that newer vehicles have more safety features has an upside. 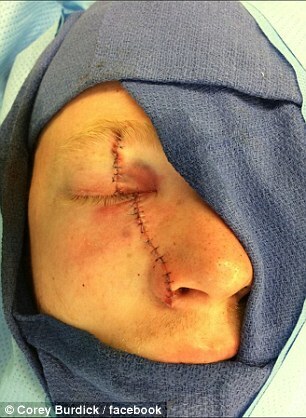 But there’s also a potential downside that could affect injury rates. Corum says that frequency of accidents would be an important change in the overall injury claim costs trend, and that it could have a magnifying effect on the use of medical services and costs. 'We’re very concerned that we may see an increase in frequency,' Corum says. 'It’s a little early to be able to say that conclusively.'" After over 5 years of battles, the U.S. Congress is nearing passage of the Raechel and Jacqueline Houck Rental Car Safety Act in the federal Highway Bill that is expected to be voted upon this week. The Act would prohibit nearly all rental car companies, including many car dealers, from renting, loaning, or selling recalled vehicles until the safety defects have been repaired. Existing federal law prohibits dealers from selling recalled new vehicles, but there is no similar law regarding rentals. Passage would be a major new expansion of NHTSA's authority over safety recalls. For the first time, the agency would be able to police used vehicles provided by rental car companies, including car dealers, as rentals or loaners – but thanks to a last-minute loophole added at the behest of auto dealers, the Act would apply only if the company rents or loans a fleet of 35 or more vehicles, on average – excluding many auto dealers. “I'm thrilled that we're finally close to passage of the Rental Car Safety Act named for my beautiful, treasured daughters, Raechel and Jacqueline. But I'm worried about the loaner car loophole for car dealers and remain committed to closing that dangerous safety gap,” said Cally Houck, Mother of Raechel and Jacqueline Houck, who were ages 24 and 20 when they were killed by a recalled rental car. The leading champions for passage of the Act are Senators Schumer, Boxer, McCaskill, Nelson, and Blumenthal, and Representatives Capps, Schakowsky, Butterfield, and Jones. The Senate measure was also co-sponsored by Senators Casey, Feinstein, Gillibrand, and Markey. The Obama Administration has also been strongly supportive of passage. Thanks to this provision, the National Highway Traffic Safety Administration will be able to police rental car companies and dealers who have fleets of 35 or more rentals or loaner vehicles, and fine them if they violate the law – preventing tragedies like the crash that killed Raechel and Jackie. Currently, it is a violation of state laws for rental car companies or dealers to engage in such practices, but generally those laws are not enforceable by individual consumers or their survivors unless they have suffered damages, such as property damage, personal injury, or death. NHTSA will be able to act without having to wait for a crash to occur. liability onto the victims of unsafe vehicles. The rental car industry, including Enterprise, Hertz, Avis, Dollar-thrifty, Alamo, National, and the American Car Rental Association, as well as many smaller rental car companies, helped persuade lawmakers to vote for the bill. The lone exception was the owner of Rent-a-Wreck, Jack Fitzgerald, a car dealer, who actively opposed the bill and lobbied against its passage. While Rep. Williams claimed that the loaner loophole would apply only to minor problems that do not affect safety, it would actually apply to ALL safety recalls, including defects such as catching on fire, brake failures, loss of steering, stalling in traffic, wheels that fall off, axles that break, child safety seat anchors that fail, seat belts that break apart in a crash, and air bags that spew shrapnel that blinds people and slices into their necks, causing them to bleed to death. Rep. Williams also claimed that no dealer would loan or sell an unsafe vehicle. However, many news reports have exposed cases where dealers have handed customers the keys to vehicles with potentially lethal safety defects, causing crashes and even catching a home on fire. In one tragic crash, four family members were killed by an unsafe Lexus loaner car. 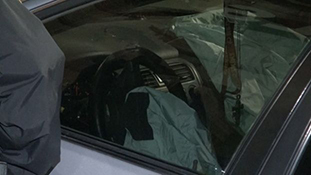 In Texas, Carlos Solis was killed by a recalled used car with an exploding Takata air bag when a dealer failed to get the car repaired prior to sale. 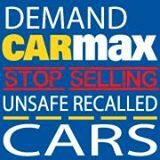 CarMax, the largest retailer of used cars in the nation, openly admits that it sells large numbers of unsafe recalled vehicles without bothering to get the free safety recall repairs done first. 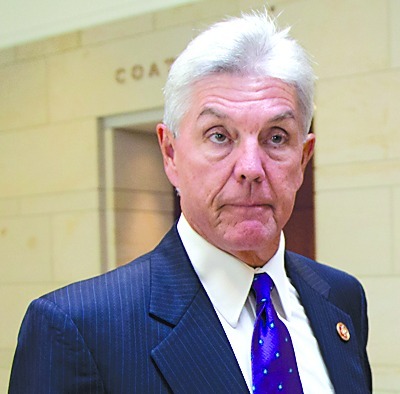 Recently, the Campaign Legal Center urged the House Ethics Committee and the Office of Congressional Ethics (OCE) to review Texas Republican Rep. Roger Williams' conduct in authoring a special-interest amendment that would benefit his own business, as a car dealer. The Act will improve both rental car and used car safety, by reducing the numbers of recalled rental and used cars that re-enter the used car market. However, Congress failed to close the used car safety gap, due to heavy opposition from the National Automobile Dealers Association. To its credit, AutoNation has publicly announced that they guarantee a recall-free vehicle, including used cars. They have also announced that they will not penalize consumers who trade in a vehicle with an open recall by dinging them over the price. WASHINGTON — Buried deep within a massive transportation bill that passed the House of Representatives is a little-noticed provision that won’t have much effect on highway projects, but is of great interest to automobile dealers. The provision, an amendment offered just before midnight on Nov. 11, would allow dealers to rent or loan out vehicles even if they are subject to safety recalls. Rental car companies, meanwhile, don’t get the same treatment under the proposed law. The man who offered the amendment is no stranger to car dealerships. In fact, that’s his business. U.S. Rep. Roger Williams, R-Austin, sponsored the amendment. In introducing it on the floor of the House, he noted, 'I am a second-generation auto dealer. I have been in the industry most of my life. I know it well.' The possibility that his action might be considered a conflict of interest was apparently not on his mind, though it certainly occurred to others. "It's Legal under Federal Law to Rent Out Recalled Cars, but Maybe Not for Long"
"It’s against federal law for new car dealers to sell recalled new cars, but it’s not against federal law for dealers and rental car companies to rent or loan out these same potentially dangerous vehicles. Congress is considering a new law that could change that practice. The Raechel and Jacqueline Houck Safe Rental Car Act would close the loophole that allows rental car companies to rent or sell recalled vehicles. The Senate passed the legislation in July, and the House passed an amended version of the act in early November. The Senate is expected to vote on the amended legislation before year’s end as part of a larger multiyear federal transportation bill. Greg Scott, a lobbyist for the American Car Rental Association, says the group has backed the legislation for the past two years, after working out a compromise with the consumer groups over some of the act’s stipulations. 'It’s an unusual circumstance to have consumer groups trying to impose regulations on an industry, and then have the industry agree. But that’s the way it’s been since 2013,' Scott says. 'It’s a testament to the car rental industry putting the safety of the customers and consumers first. Nobody should have to wonder when they go and rent a car whether or not there’s a safety defect.' 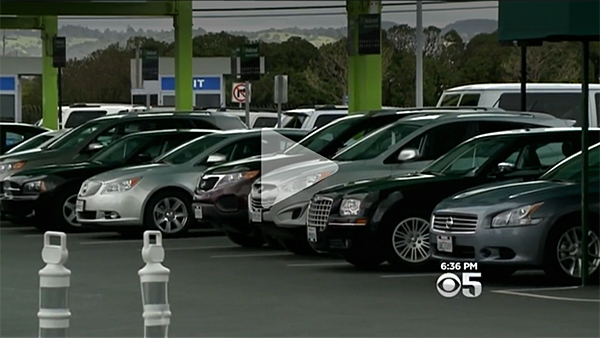 "
Read the report: "It's Legal under Federal Law to Rent Out Recalled Cars, but Maybe Not for Long"
Click to watch the report. First, the good news: Congress is days away from FINALLY passing the Raechel and Jacqueline Houck Rental Car Safety Act, to prohibit rental car companies from renting, loaning or selling recalled cars. The Senate passed the Act last month, and the House also passed it recently, as part of the national highway funding bill. That is expected to pass soon and go to President Obama for a signature. One of the best things about the Act -- it will give the National Highway Traffic Safety Administration the authority to crack down over violators, even if no one is injured or killed -- preventing tragic crashes like the one that killed Raechel and Jackie. BUT -- near midnight on the day the Act passed out of the U.S. House of Representatives, U.S. Rep. Roger Williams (R-Texas), a car dealer, got a special-interest loophole added to the bill to allow car dealers to rent or loan recalled ticking-time-bomb cars to consumers. It passed by a voice vote (with no record of who voted for or against it) when very few U.S. Representatives were still on the House Floor. Rep. Williams owns a Fiat-Chrysler dealership in Weatherford, Texas, west of Dallas. He boasted that he's been a dealer for decades. The only other member of the House who spoke in favor of the dangerous loophole is another car dealer, Rep. Kelly (R-Pennsylvania). If the car dealer loophole stays in the bill, car dealers could rent, sell, or loan defective recalled vehicles to customers who leave their cars for repairs, without violating the new law. Dealers want this loophole so they can evade a crack-down by the National Highway Traffic Safety Administration to stop them from renting or loaning unsafe cars to the public. Imagine -- if you have a car that is being recalled because the defective Takata air bags may explode and slice through your neck, the dealer could rent or loan you a car with the exact same safety defect. Who is opposed to the car dealers' lethal car loophole? What you can you do to oppose the dealer loophole? Call your members of Congress and urge them to oppose this dangerous loophole. Here's the number to call at the U.S. Capitol, where they can put you in touch with your member of Congress: 202-225-3121. Message: "I think rental and loaner cars should be safe to drive. Please OPPOSE the car dealer loophole in the DRIVE Act." Sign Cally Houck's petition on Change.org, and send a message to U.S. Rep. Fred Upton, who is from Michigan and close to auto manufacturers and car dealers. He is expected to play a crucial role in deciding whether the dealers get their dangerous loaner car loophole. Think rental cars should be safe? Sign Cally Houck's petition on Change.org. will cost you the right to sue"
"Each of Detroit's Big Three automakers offer a discount on new vehicles for employees, their families and friends. "Breese Berkowitz of Walnut Creek bought a new 2015 Passat TDI on Sept. 12 to replace an aging Toyota Prius hybrid. Her family’s other car is a plug-in Prius, and she wanted something environmentally friendly but not another plug-in because she needed a longer range. Volkswagen had been advertising its “clean diesel” technology and Berkowitz thought the Passat - the "Eco-friendly Car of the Year," according to Cars.com - offered great gas mileage without sacrificing performance. Rosemary Shahan, president of Consumers for Auto Reliability and Safety, had this advice for people with the tainted cars: 'Drive as little as possible for your own and the environment’s sake. Don’t breathe in the fumes and get some legal advice.'" "AutoNation Halts Sales of Recalled Vehicles"
"AutoNation, the country's largest auto retailer, said Tuesday it will no longer sell any new or used vehicles under recall that have not been repaired. Calling it 'a historic commitment to safety,' the president of one auto consumer protection advocacy organization, Consumers for Auto Reliability and Safety, lauded Jackson's move. 'This is a huge breakthrough, particularly since AutoNation's CEO is speaking publicly about the responsibility of dealers to be part of the safety recall solution and to ensure that unsafe, recalled used cars are not only not sold to consumers, but also not sold at wholesale, until they are safe,' said Rosemary Shahan." "Senate Panel Drops Plan to Allow Rentals of Recalled Vehicles"
"A Senate panel killed a proposal to permit companies to continue renting vehicles that have been recalled, a measure criticized by consumer groups, automakers and even some rental-car companies. The Commerce, Science and Transportation Committee instead voted Wednesday to require cars be repaired before they’re rented. The change resulted from an amendment by Senator Claire McCaskill, a Missouri Democrat. It modified a bill, introduced last week by Senator John Thune, a South Dakota Republican, that would have allowed rentals with known safety defects as long as companies disclosed the open recalls to customers. In the past week, Honda Motor Co. joined General Motors Co. as the second automaker to back the Democrats’ push for a ban on rentals with safety defects. The American Car Rental Association, a trade group that includes Hertz Global Holdings Inc., Avis Budget Group Inc. and Enterprise Holdings, described the original Republican bill as a 'significant step back in consumer protection' compared with current industry practices in a July 13 letter to committee leaders." "Advocates slam GOP auto safety approach"
Auto manufacturers and car dealers push for rental car safety loopholes, while rental car companies work to close them. "Advocates also note that the Thune bill would not bar the practice of dealers selling unrepaired recalled used cars or rental cars lending unrepaired vehicles — but would only require notification. Rosemary Shahan, president of California-based Consumers for Auto Reliability and Safety, said that would put families and business travelers in a difficult spot: forgo a rental or take a vehicle that could be unsafe. "Every year millions of consumers are renting cars with the expectation that they will not be given a vehicle that has a deadly safety defect and has not yet been repaired. It is critically important for rental car companies to get recalled vehicles fixed before they offer them to the unsuspecting public," said Jack Gillis, director of Public Affairs for the Consumer Federation of America. Read more: Detroit News: "Advocates slam GOP auto safety approach"
"Two consumer groups have asked California’s attorney general and the Department of Motor Vehicles to investigate the sales practices of used car giant CarMax. Researchers visited two of CarMax’s 18 stores in California, one in Oxnard and the other in Sacramento, and cross-checked vehicle identification numbers with a federal database that tracks whether a vehicle has been recalled and if it has been repaired. 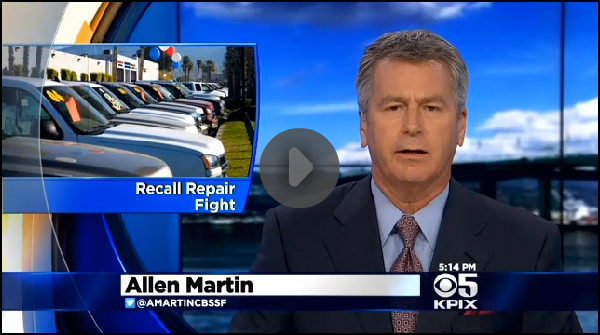 They found that more than 10% of the 455 cars at the Oxnard CarMax had unrepaired recalls. Seven were subject to two or more recalls. In Sacramento, 9% of the 386 vehicles had unrepaired recalls. 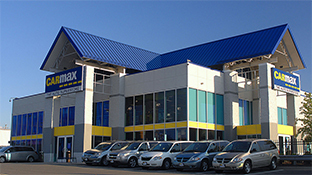 The consumer groups, however, claim CarMax’s sales system might have potential violations of California regulations, including 'bait and switch' infractions, where a consumer is lured to the dealer with the promise of a car that is safe and reliable and then is switched to a defective, unsafe vehicle. Other infractions might include false and misleading advertising and violations of vehicle code provisions that prohibit sales of vehicles that fail to comply with Federal Motor Vehicle Safety Standards, they said in their report." Read more: "LA Times: CA groups say CarMax sells unsafe cars"
"California groups say CarMax sells unsafe used vehicles"
Citing information that CALPIRG obtained from the CarMax store on Stockton Boulevard, the report released Wednesday said 'approximately 9 percent of all cars recently offered for sale at that location had an unrepaired federal safety recall.' The report said 34 of 386 vehicles for sale at a local CarMax on May 26-27 were subject to safety recalls. The report listed defects including engines that could stall, possible air bag failure, worn parts, key systems failures and bad electrical connections. At the CarMax store in Oxnard, 46 of 455 vehicles for sale on May 20-21 were subject to federal safety recalls, according to the report." Read more: "Sacramento Bee: CA groups say CarMax sells unsafe used vehicles"
"A measure pushed by auto dealers that would have created rules for how they sell recalled used vehicles was pulled by its author suddenly Friday even though it sailed through the Assembly on a 76-0 vote earlier this month. Assemblyman Rich Gordon (D-San Mateo) said he notified the state Senate that he plans to hold AB 287, titled the Consumer Automotive Recall Safety Act, until next year to see if he can establish a consensus among dealers and a growing opposition. Nearly every automaker, most rental car companies and multiple consumer groups opposed the bill. 'The whole concept of allowing dealers to sell recalled cars is bad news for consumers,' said Rosemary Shahan, president of Consumers for Auto Reliability and Safety. 'No one else in the industry thought this was a good idea.' "
"Our auto recall system is broken. Here's how not to fix it"
'These laws are effectively 'Get Out of Jail Free' cards for dealers,' concurred Taras Rudnitsky, a former car safety engineer who now works as a lawyer for victims of vehicle defects." Read more: American Prospect: "Our safety recall system is broken. Here's how not to fix it." "Rep. Lois Capps, D-Santa Barbara, has introduced a bipartisan bill that would prohibit rental car companies from renting or selling recalled vehicles to consumers before they are fixed. California Sens. Barbara Boxer and Dianne Feinstein support a Senate version of the bill introduced last year, also called the Raechel and Jacqueline Houck Safe Rental Car Act. 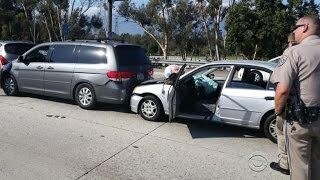 The legislation is named after two Ojai sisters killed in a crash while in a recalled rental car. An opposition bill in the California Assembly would allow car dealers to sell about 99 percent of recalled used cars to consumers without having to get them repaired first. Shahan called the opposition bill 'scary.' "
"Consumer advocates say AB287 limits dealer responsibility by preventing the sale of recalled cars for which the manufacturer issued a do-not-sell or do-not-drive notice. Honda, for example, has not made a do-not-drive recommendation 'as part of an automotive recall in recent history,' according to company spokesman Chris Martin. Last year, the company recalled 8.1 million defective air bag inflators, and defective air bag inflators in several cars from Honda and other automakers have been blamed for six deaths. 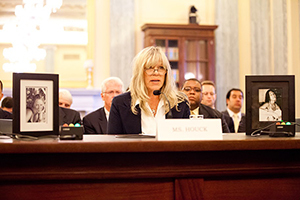 'There’s no federal definition of do-not-drive,' said Rosemary Shahan, president of the consumer advocacy group Consumers for Auto Reliability and Safety in Sacramento, which opposes AB287 and supports the national RECALL Act and Houck bills." "Washington — Four U.S. senators on Friday reintroduced legislation that would bar rental car companies from leasing unrepaired recalled vehicles — the third straight year they have proposed the plan. Sens. Charles E. Schumer, D-N.Y., Barbara Boxer, D-Calif., Claire McCaskill, D-Mo., and Bill Nelson, D-Fla., would require rental companies to follow the same rules that currently apply to new car dealers, who can't sell a unrepaired recalled vehicle. The bill is backed by the Obama administration and Transportation Secretary Anthony Foxx. The legislation is named after two sisters from Santa Cruz, Calif., Raechel and Jacqueline Houck, who were killed in 2004 when a recalled PT Cruiser they had rented from Enterprise caught fire and hit a truck. 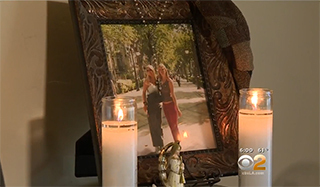 'It's been over ten years since my beautiful, treasured daughters Raechel and Jacqueline were killed by an unsafe, recalled rental car," said Carol "Cally" Houck. "It's time for Congress to act, to protect all families from suffering our devastating loss.' "
"A new bill facing the Senate would ban car rental companies from offering vehicles to consumers until outstanding recall problems are repaired. Dubbed the Rachel and Jacqueline Houck Safe Rental Car Act of 2015, the measure is named after two sisters killed in the 2004 crash of a Chrysler PT Cruiser they had rented which had a serious defect that hadn’t been fixed. Congress 'needs to take this seriously,' said Rosemary Shahan, the president of California-based Consumers for Auto Reliability and Safety. The problem is all the more serious, she said, with auto recalls hitting record numbers last year, more than 60 million vehicles, in all. According to data tracking service CarFax, as much as a third of all vehicles facing recall typically go unrepaired, a problem that can lead to crashes, injuries and fatalities, sometimes years after the defect was first identified. "Dealers are fighting back against consumer pressure to disclose and fix all recalls on cars they want to sell." 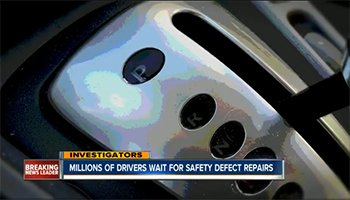 "Consumer advocate Rosemary Shahan has spent years trying to get laws passed forcing dealers to make the repairs..."
Watch: Car dealer spokesperson admits the car dealers' special-interest bill would allow dealers to sell used cars with lethal safety defects, like air bags that explode with excessive force and spew shrapnel at drivers and passengers, causing blindness or causing them to bleed to death. "Specific vehicle safety features also make a difference. Rosemary Shahan, president and founder of the nonprofit Consumers for Auto Reliability and Safety, suggests shoppers look for electronic stability control. This is now standard on many models, but older, used cars may not have it. And 'the more air bags the better,' she says. 'You can never have too many air bags.' "
"Toyota Motor Corp. plans to bundle several advanced auto safety features that reduce the frequency of crashes into a low-cost option for its Toyota and Lexus vehicles. The features alert drivers to a pending collision and trigger the brakes, switch on high beams when there is no oncoming traffic, and warn drivers who drift from their lanes. An upgrade package alerts drivers to potential collisions with pedestrians and also brakes automatically. The move was lauded by safety experts who eventually want to see the technology become standard equipment on all vehicles... 'Anything that makes safety more affordable is a good thing, especially when they are proven safety systems,' said Rosemary Shahan, President of Consumers for Auto Reliability and Safety." "NJ Lawmaker defends bill regulating sale of recalled vehicles"
The leader of California-based Consumers for Auto Reliability and Safety told The Record this week that the bill would undermine existing consumer rights in New Jersey and shield used car dealers from liability if someone is hurt or killed because of an unfixed safety issue in a recalled car that they sold. Rosemary Shahan, president of California-based Consumers for Auto Reliability and Safety, has argued that state consumer laws already prohibit selling unsafe products, and warns that the proposed legislation may inoculate used car dealers from liability under those laws. The four-page letter, co-signed by Ira Rheingold, executive director of the National Association of Consumer Advocates in Washington, D.C. outlined the groups' objections to the bill and urged the lawmakers to consider their concerns." America's used car buyers and our roads will be a lot safer if the Obama Administration wins the battle against shady car dealers who sell unsafe, recalled cars to used car buyers. U.S. Secretary of Transportation Anthony Foxx and the Administrator of the National Highway Traffic Safety Administration, Dr. Mark Rosekind, are urging Congress to make it illegal for car dealers to sell unsafe, recalled used cars to consumers. Participating in the press conference: (from left to right): Dwight Jones, Mayor of Richmond, VA; Rich Broome, Hertz Corp; Rosemary Shahan, Consumers for Auto Reliability and Safety; Sharon Faulkner, American Car Rental Association; Bob Muhs, Avis Budget Group; Anthony Foxx, U.S. Secretary of Transportation; Dr. Mark Rosekind, Administrator, National Highway Traffic Safety Administration; and Gordon Reel, Enterprise Holdings. 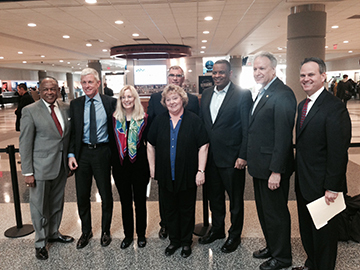 They joined the President of Consumers for Auto Reliability and Safety at a press conference in Richmond, VA, along with representatives of Hertz, Enterprise, and Avis, and the American Car Rental Association, who have been working together with CARS to enact federal rental car safety legislation. Auto manufacturers (except GM) and car dealers are blocking the rental car safety bill, and lobbying Congress to weaken protections for America's car buyers. It is historic for a President and his safety team to call for people who rent cars, or purchase used cars, to have the same level of protection as new car buyers. Under federal law, it is illegal for car dealers to sell recalled cars with lethal safety defects to NEW car buyers. That has been the law since the 1960's. But there is no similar federal law to protect people who rent cars or purchase used cars. "What we need now is for Congress to step up, and to make renting or selling a recalled vehicle [to a consumer] illegal," said Secretary Foxx. "Transportation Secretary Anthony Foxx announced the Takata penalty on Friday in Richmond, Va., while promoting stronger auto safety rules. At the same event, Mr. Foxx also called on Congress to pass legislation that would force rental car companies and used-car dealers to fix safety defects before renting or selling vehicles that had been recalled. Though new cars under recall must be repaired before a sale, the United States does not have a federal law requiring the repair of used vehicles, including rental cars. What’s more, used-car dealers and rental car companies do not have to disclose that a vehicle is the subject of a recall. 'It’s really historic for them to come out so strongly to close those auto safety loopholes for rental cars and used cars,' said Rosemary Shahan, president of Consumers for Auto Reliability and Safety, who also attended the Richmond news conference and supports the legislation. 'That would be a major expansion of N.H.T.S.A.’s authority.' "
waiting for safety defect repairs"
Rachel Jefferson had just exited off of I-70 in Kansas City, Kansas when she says her car completely locked up. The power steering went out. The tires froze. The car turned off. 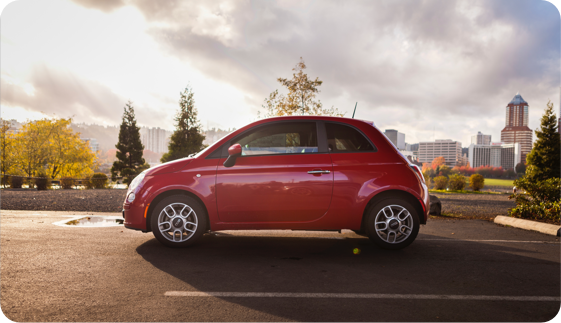 [Fiat Chrysler] first reported the problem to the National Highway Transportation and Safety Administration in 2010. 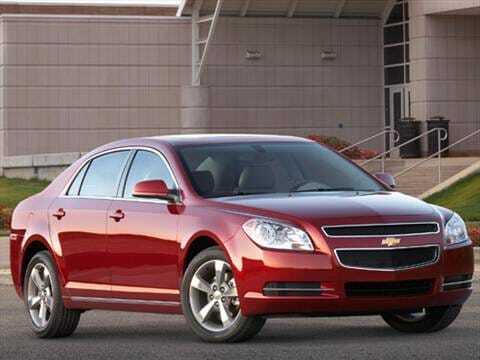 The manufacturer issued a recall for select models in 2011 and expanded the recall in 2014. Rosemary Shahan founded the consumer watchdog group Consumers for Auto Reliability and Safety or CARS. She believes Jefferson and other consumers waiting for parts have a right to be concerned. "When she gets a safety recall notice, that's the manufacturer the government telling her that her car is unsafe," Shahan said. Federal law requires that manufacturers have safety recall repairs done promptly. However, Shahan said in reality that doesn’t always happen. Part of the reason, she says, is in the past manufacturers used to stockpile repair parts before sending out notices. "Now what is happening is people hearing about it on the news or getting a safety recall notice in advance of when the repair parts are available. So there is a time lag and people are right to be concerned about driving these cars," Shahan said. A police report photo of the deployed airbags. "The death of [Carlos Solis], the 35-year-old father of two teenagers [in a recalled 2002 Honda Accord with a faulty air bag] highlights what critics say is the ineffectiveness of a system in the U.S. where, on average, a third of repairs still aren’t complete within 18 months of a manufacturer issuing a recall. As cars changed hands and automakers lose track, motorists often don’t know they are driving a car with a deadly defect. In fact, dealers aren’t required by law to get recall repairs done before selling a used car -- though they should be, said Rosemary Shahan, president of the Sacramento, California-based Consumers for Auto Reliability and Safety. People wrongly assume the cars they buy are up to date on recalls when buying from a dealer.... Solis’s death stemmed from a “relatively minor collision resulting in minimal damage to both vehicles,” according to a lawsuit his family filed Jan. 27 in Harris County, Texas, against Honda, Takata and All Stars. The front air bag in the Accord deployed and the inflator exploded, sending bits of metal into Solis’s neck, according to the lawsuit. He died at the scene. Solis left two children, a 14-year- old boy and a 13-year-old girl. Even while there’s no regulatory requirement for dealerships to conduct repairs on recalled vehicles or parts, it doesn’t get them off the hook for lawsuits over injuries or deaths, said Robert Ammons, the Solis family attorney. 'They have a common law duty to exercise ordinary care for the safety of consumers,' Ammons said in an interview. 'There aren’t regulations on everything.' "
Read more: Washington Post / Bloomberg News: "Fatal Houston Fender Bender Shows Shortcomings of Recalls"
After purchasing the car, she happily drove it around town and even took it on a road trip. Then, a month after she bought the car, her OnStar system kept alerting her there was a problem with the vehicle. It advised her to take it in to a Chevy dealer. After inspecting the car, the Chevy dealership notified Tobe that she had been driving with a fractured right axle the entire time she owned the car. The broken axle was under a recall, one Chevy had issued before Tobe bought the car. “It was a 2014. I assumed everything was fine because CarMax said they did an inspection,” Tobe said. Tobe said she was frightened thinking about what could have happened and angry that CarMax sold her a car with an outstanding recall." "California Considering Safety Of Driverless Cars"
Cute -- but is it safe enough for CA's highways? Bryan Salesky is with Google, which is already testing its driverless cars in California..."These are very complex systems," he says. "The DMV is not in the best position to evaluate the safety of any one of the products..."
But others say manufacturers have not adequately addressed safety under the current system of self-certification. Rosemary Shahan is president of Consumers for Auto Reliability and Safety. She points to recent recalls involving General Motors and Honda. "Our current safety recall system is broken," she says. "There are serious problems with our safety recall system and we need to take that into account as a state to protect our citizens." Shahan says California should move slowly and limit the number of driverless cars it allows on the road in the beginning." Listen to the full report: "CA Considering Safety of Driverless Cars"
"Honda Fined Record $70 Million in Safety Investigation"
"Federal Safety regulators fined Honda Motor Co. $70 million – the maximum allowed – for failing to report deaths and injuries involving its vehicles in a timely matter. The National Highway Traffic Safety Administration fine, which has two components, is the largest ever levied on an automaker by the safety agency. Honda must pay $35 million for the unreported death and injury claims and an equal amount for failing to report warranty and service claims that might point to defects. 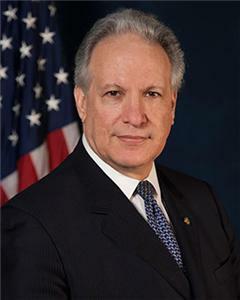 NHTSA Administrator Dr. Mark Rosekind continues to seek authority from Congress to fine auto manufacturers who violate safety laws up to $300 million. Others agreed. 'Congress has held numerous hearings, and keeps blasting the agency, but has failed to give the administration the authority it needs to levy fines sufficient to motivate companies like Honda to comply with the law,' said Rosemary Shahan, president of Consumers for Auto Reliability and Safety. 'Congress has been negligent, and should have passed legislation by now.' "